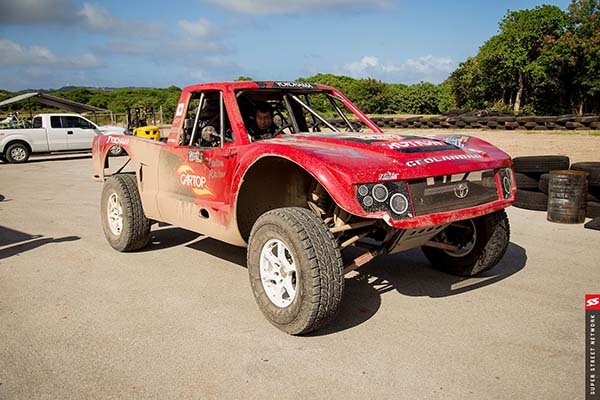 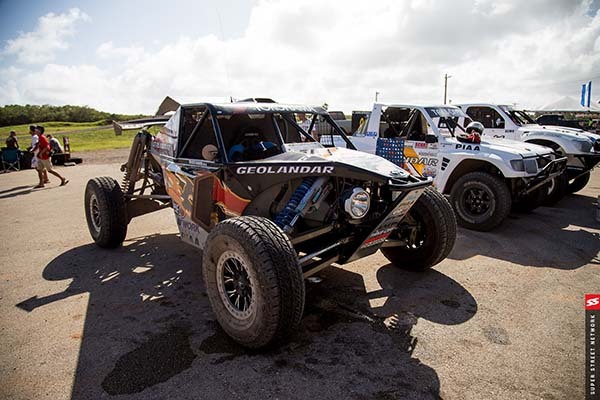 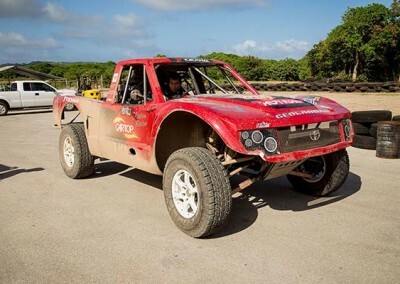 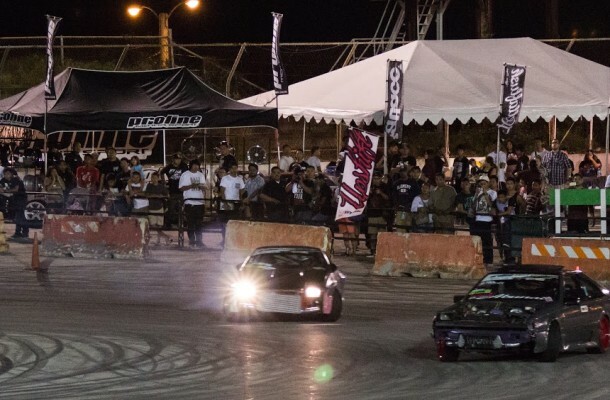 The longest running and biggest motorsports event in the Pacific is back in 2019. 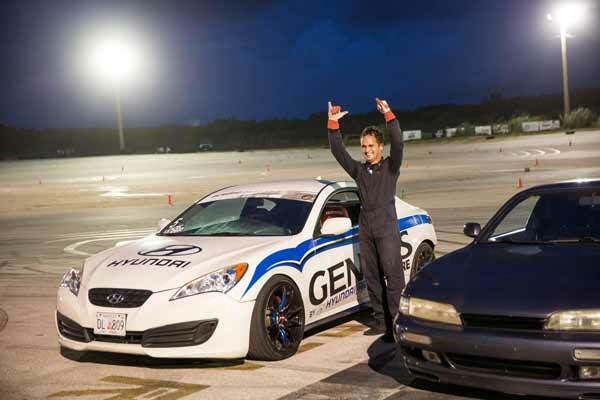 This year will feature guest driver, the legendary Ivan “Iron Man” Stewart. 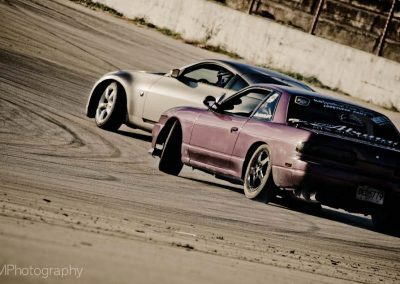 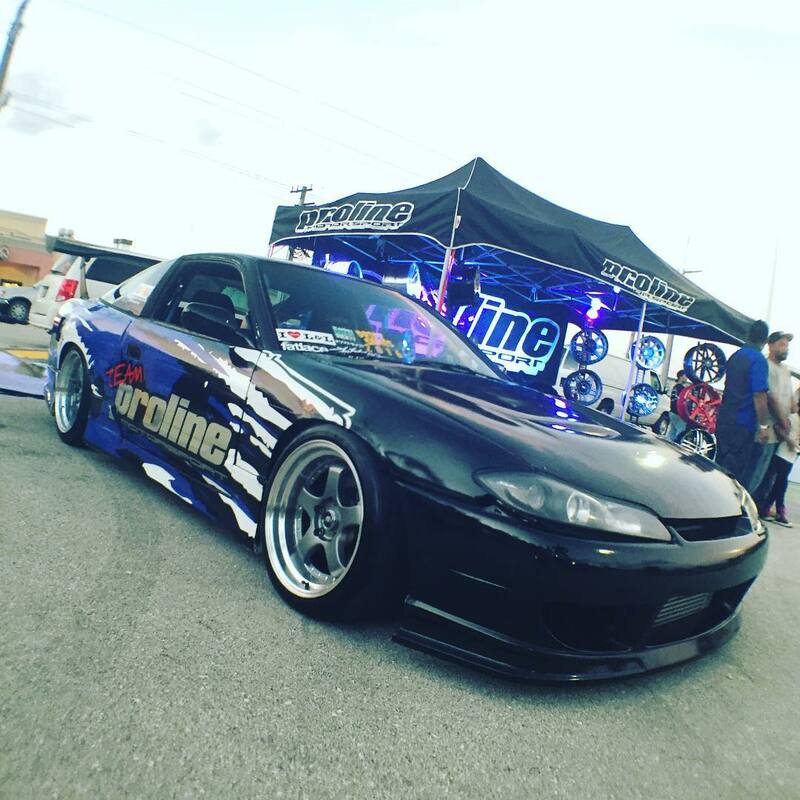 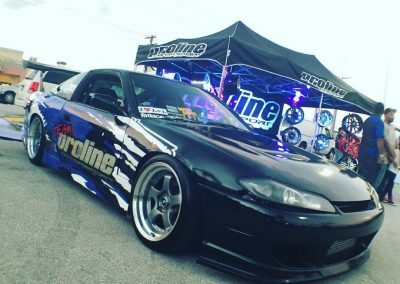 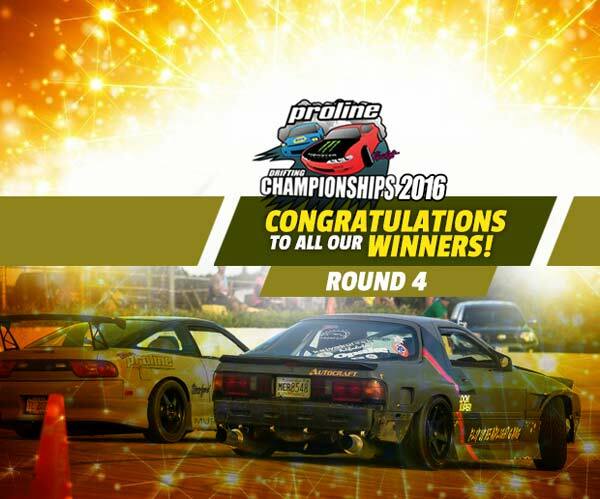 Congratulations to Dan Aclaro, the winner of the final round of the 2016 Proline Drifting Championships. 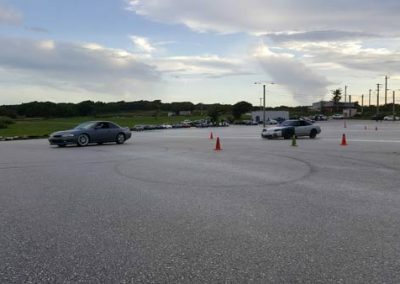 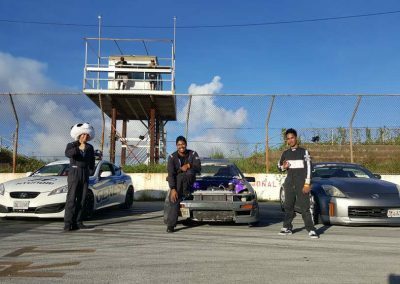 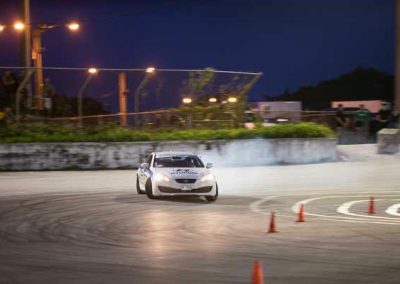 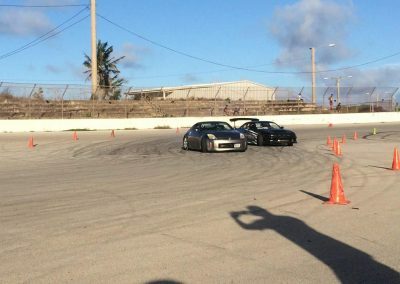 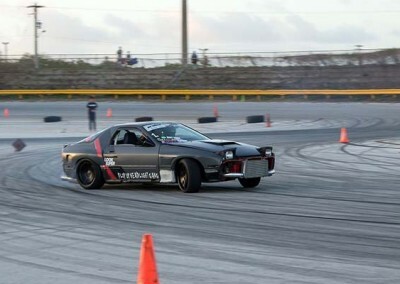 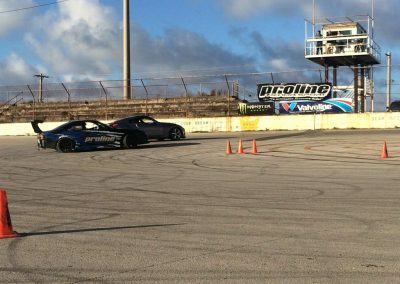 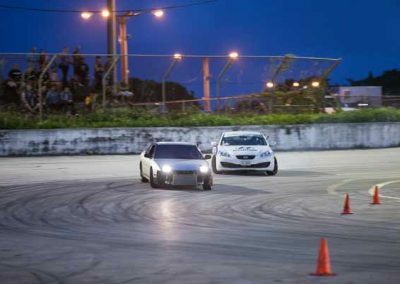 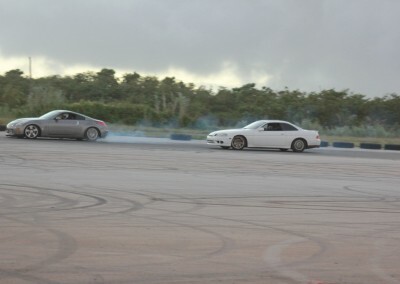 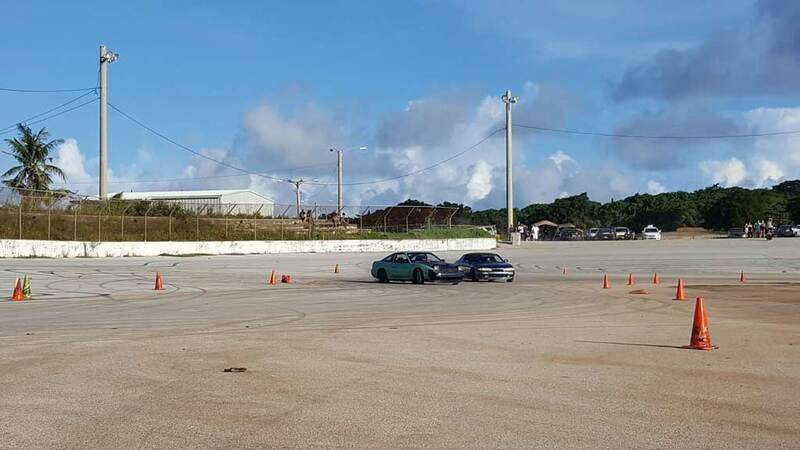 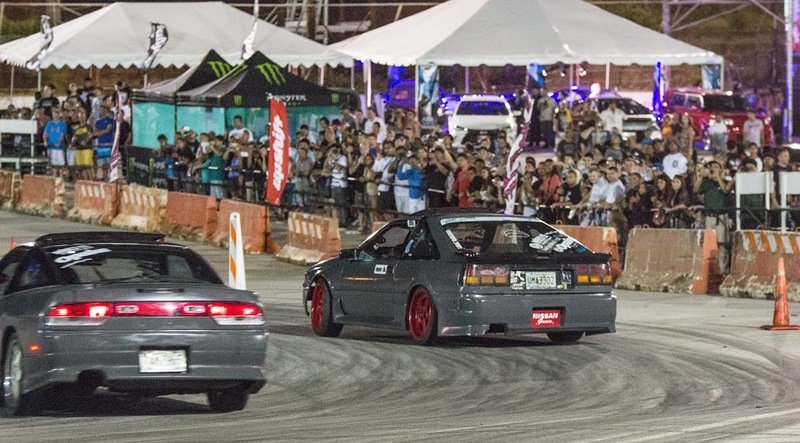 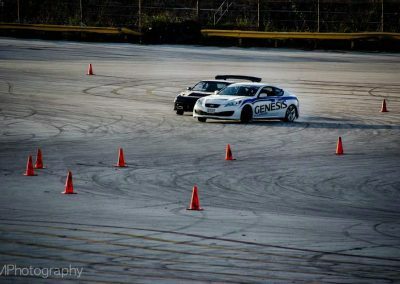 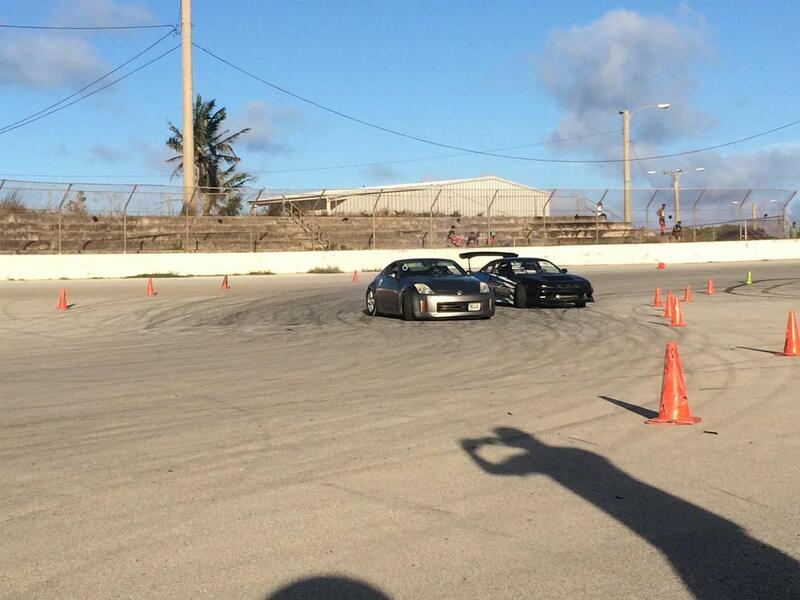 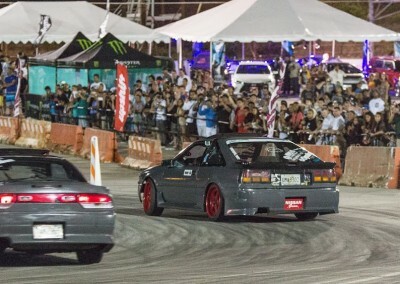 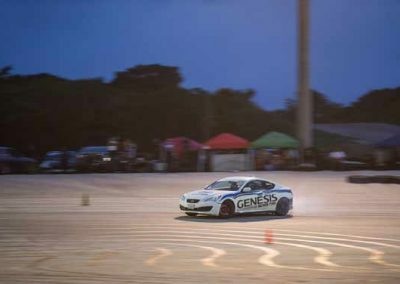 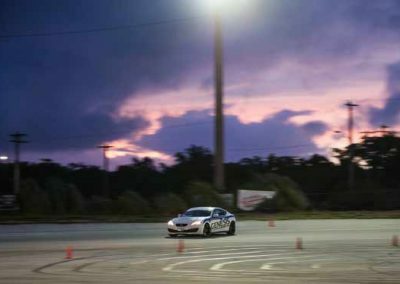 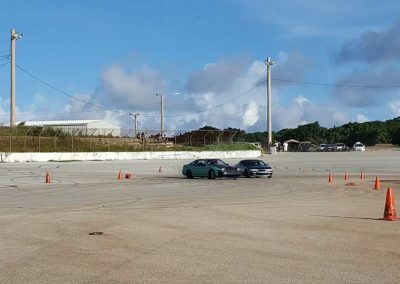 Guam International Raceway hosted the final round of the 2016 Proline Drifting Championships in the 1/4 mile asphalt oval track. 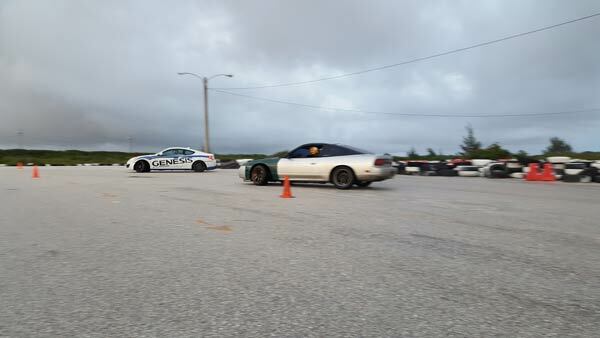 Strong gusts and heavy showers greeted drivers and crews setting up but the poor weather did not continue. 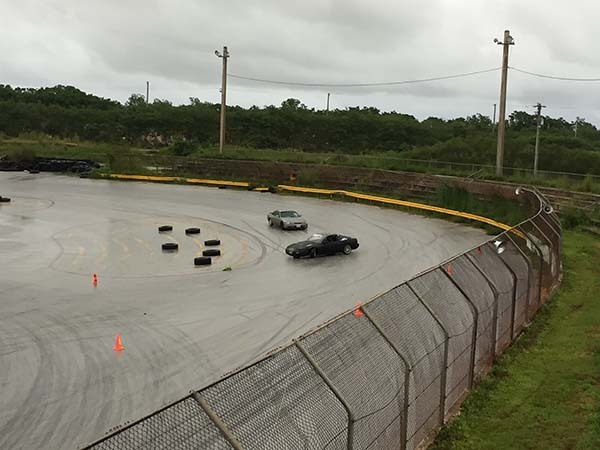 The rain subsided and the track dried up just in time. 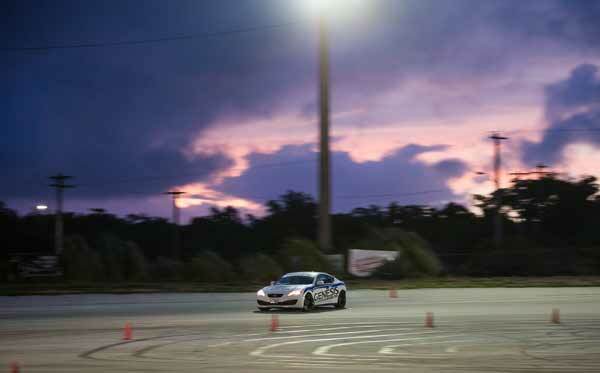 A total of 18 drivers took to the course to try and qualify for the top 16 slots and pair off for tandem matches. 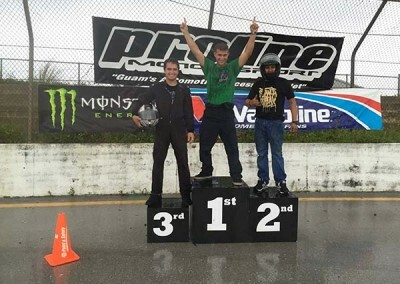 Novice drivers turned up the heat this round with a couple Expert drivers either running into issues or making mistakes that cost them big in points. 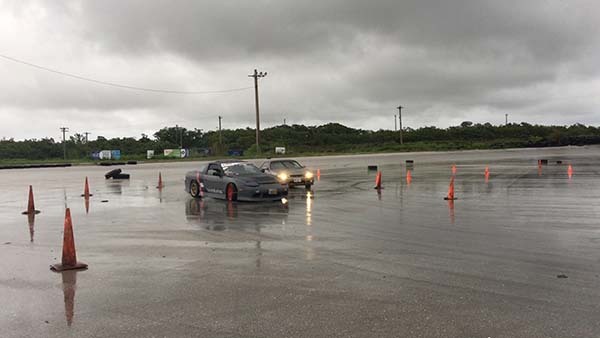 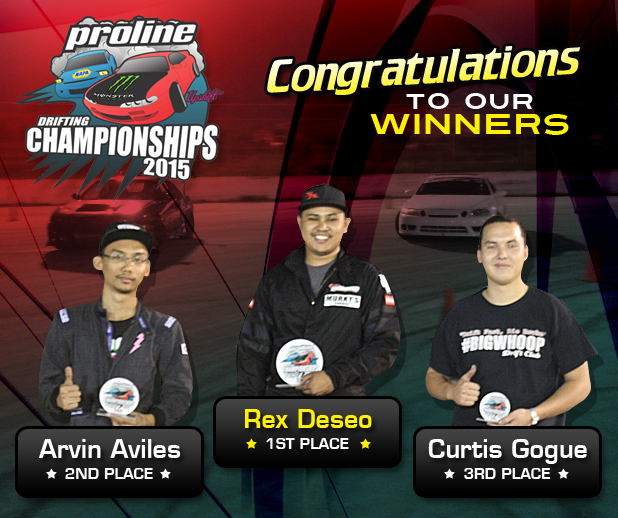 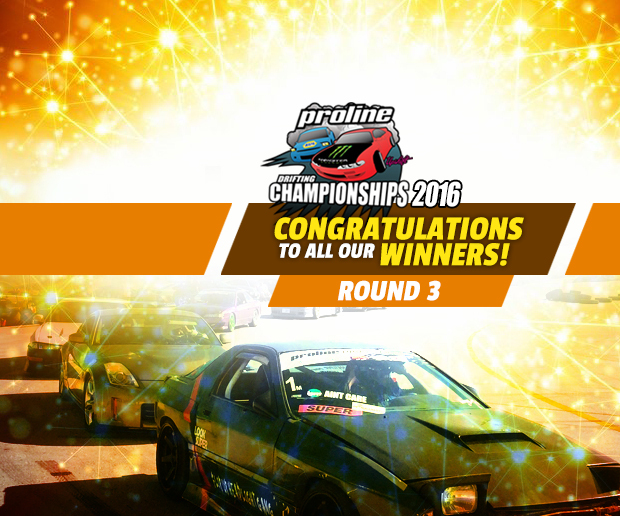 Congratulations to our winners in the exciting, but rainy, 4th round of the 2016 Proline Drifting Championships on Sunday October 30th at the Guam International Raceway in Yigo. 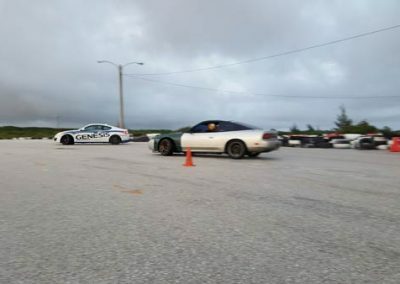 What started as a nice warm sunny day turned into a wet and slippery competition as heavy down pours rolled through during setup. 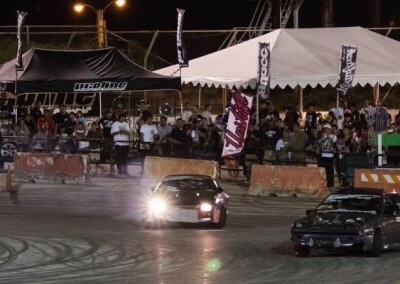 One of the highlights of the competition was Von Burrell vs. Rex Deseo during the first tandem elimination round with Deso leading and Burrell in chase. 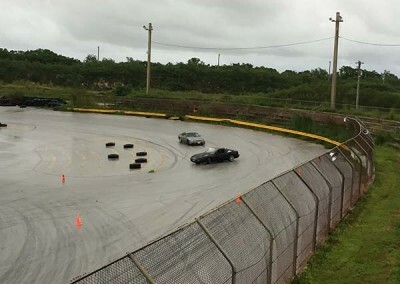 Deseo spun out doing a complete 360 as Burrell not very far behind in mid drift barely missing Deseo which could have resulted in a pretty bad collision if they hit. Thanks to Andy Passauer for the photos. 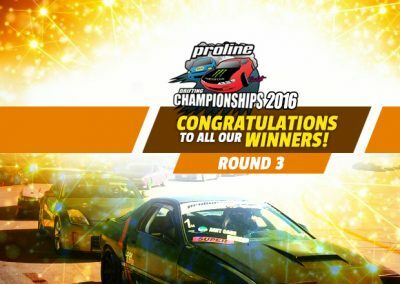 Congratulations to all our Round 3 winners! 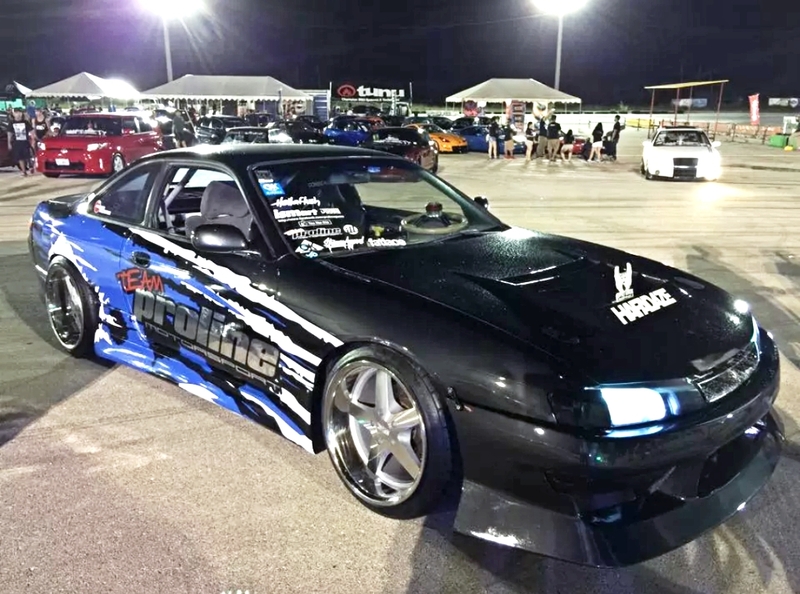 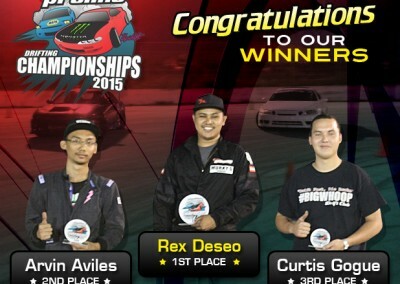 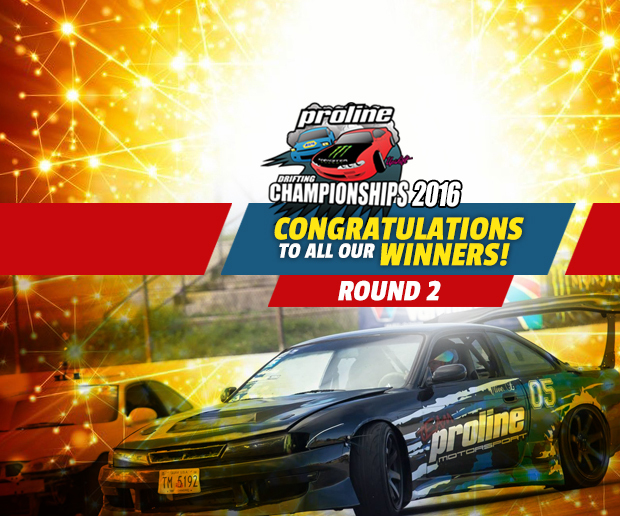 Congratulations to all the winners in the 2nd round of the 2016 Proline Drifting Championships that were held on Sunday, June 12th, at the Guam International Raceway in Yigo. 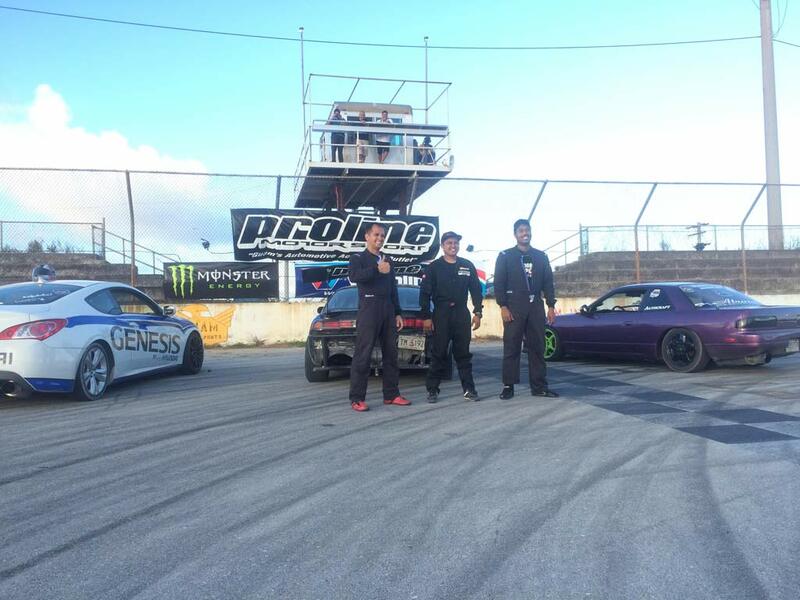 11 drivers participated and only 10 qualified into eliminations. 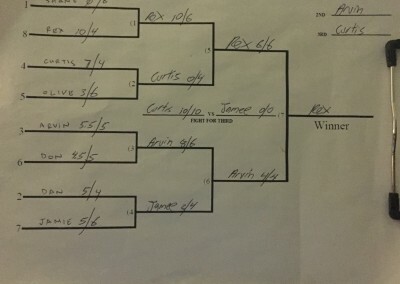 Von Burrell 10/0 vs. Don Cabuhat 0/10 = One More Time! 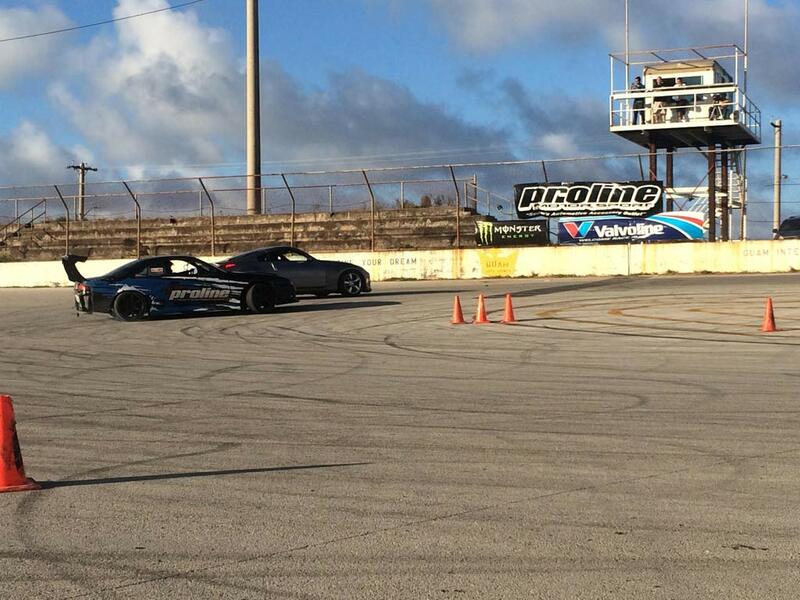 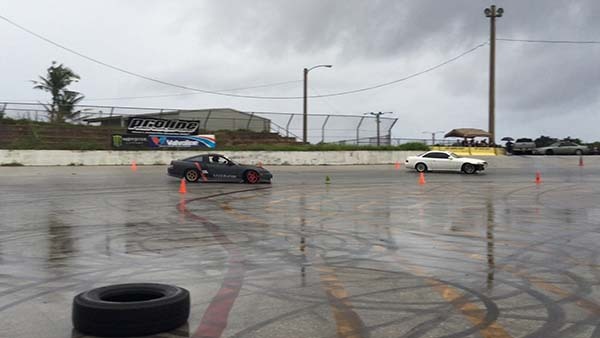 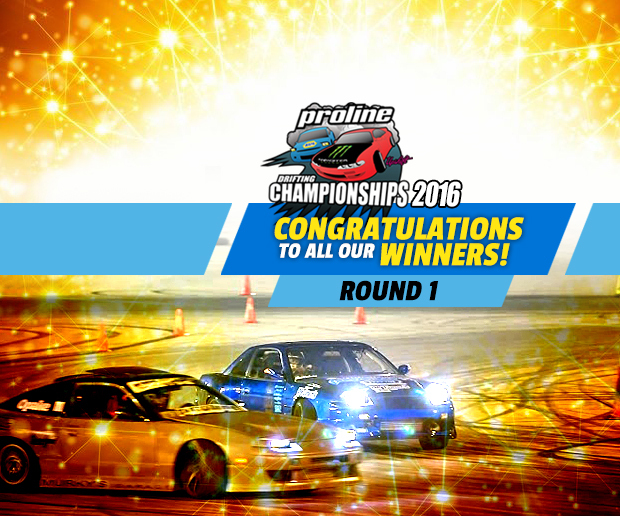 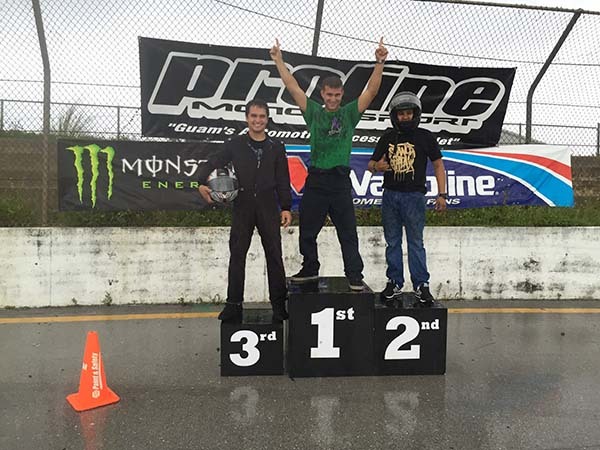 Congratulations to all the participants in the Proline Drifting Championships 2015. 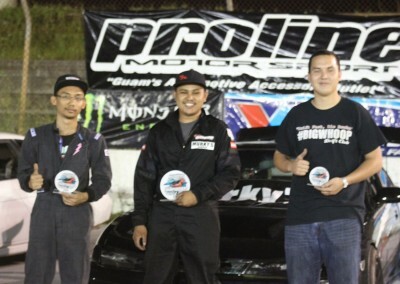 Winners received Trophies, Cash from the prize pot, Gas from IP&E, and a certificate from Outback Steakhouse. 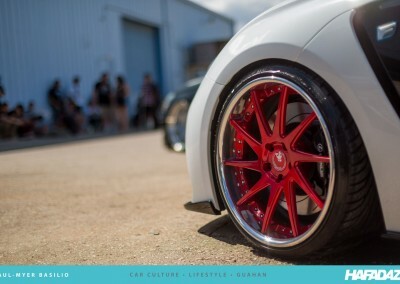 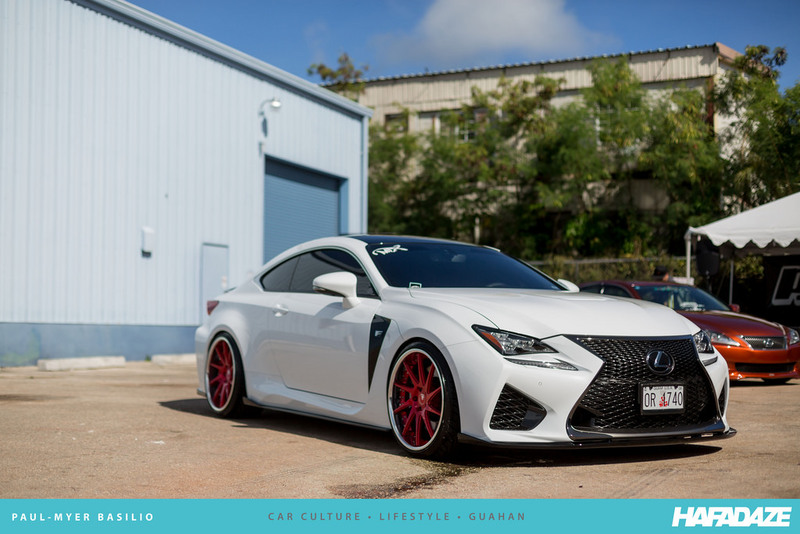 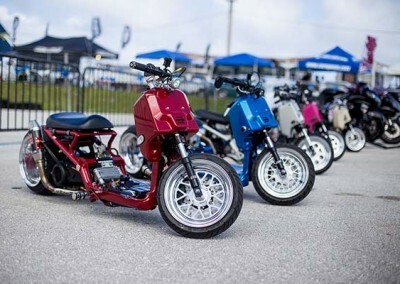 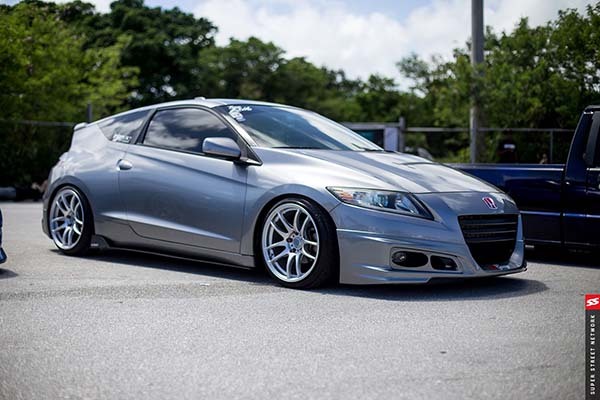 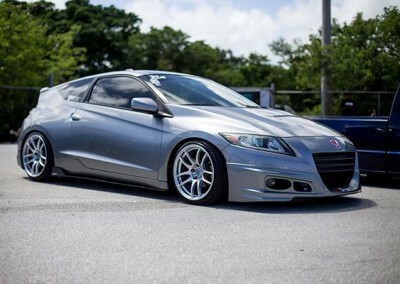 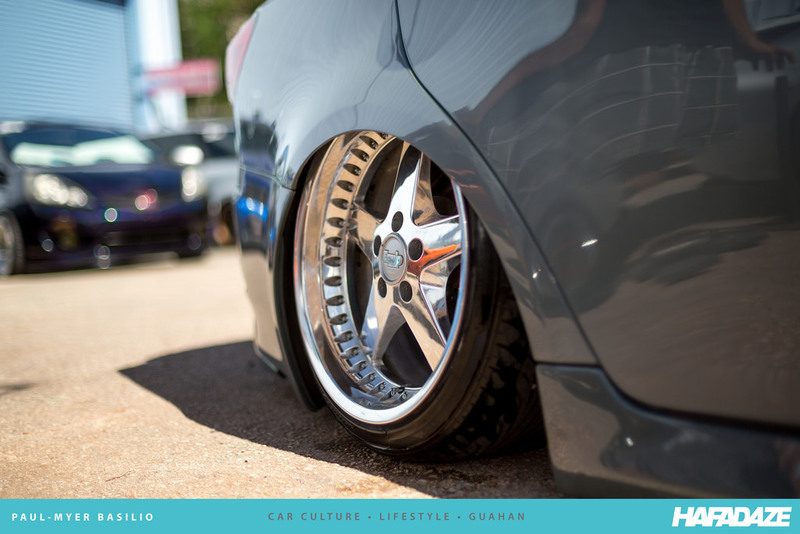 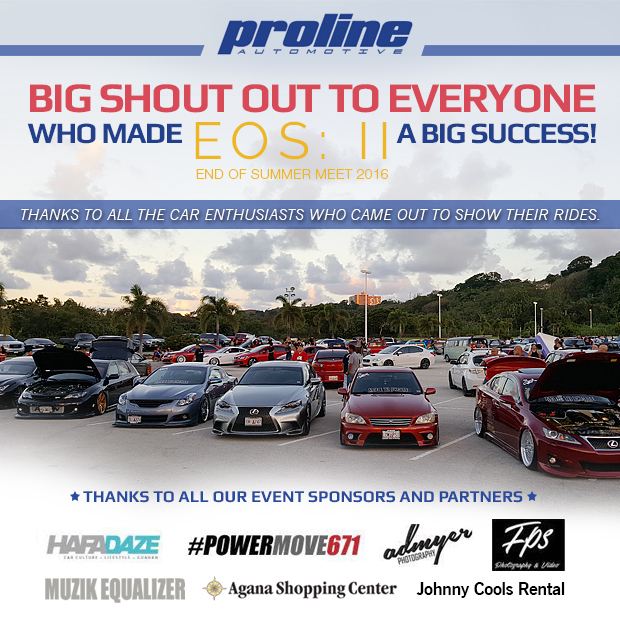 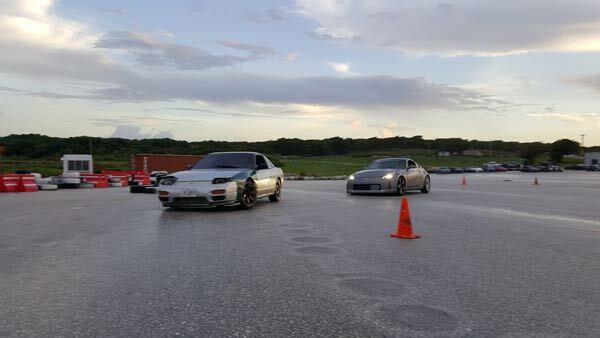 Proline’s End of Summer Meet 2015 took place on August 9th in the Proline Automotive parking lot in the Harmon Industrial Park and was open to all vehicle categories. 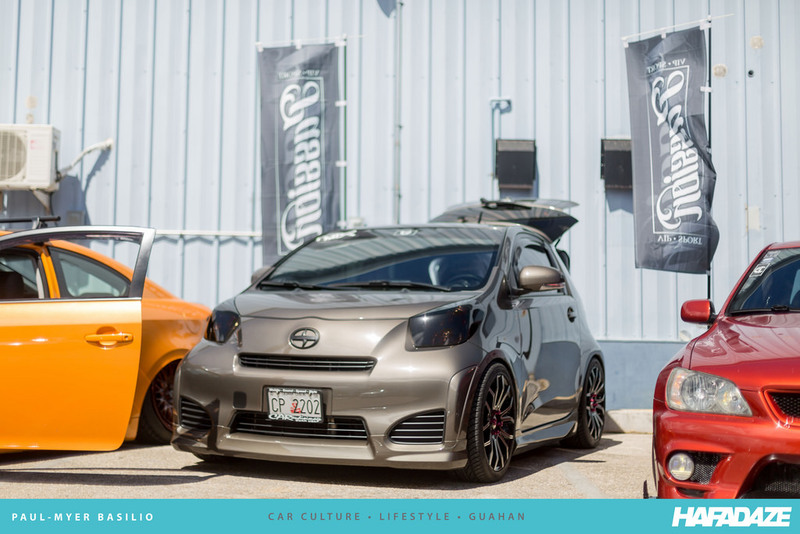 Import car show model royalty and special guest Jeri Lee turned out for the event. 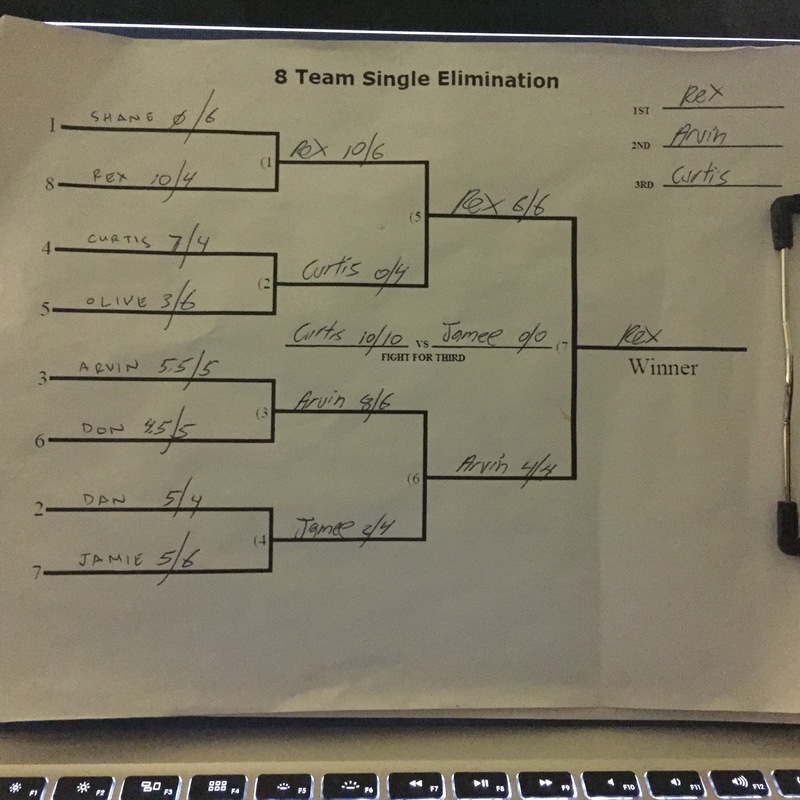 DJ Slynt rocked the house with some amazing jams. 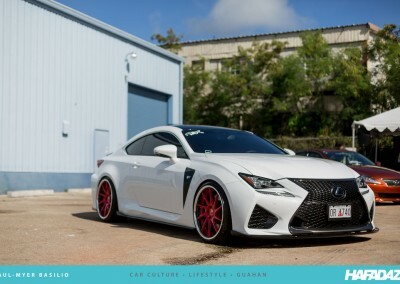 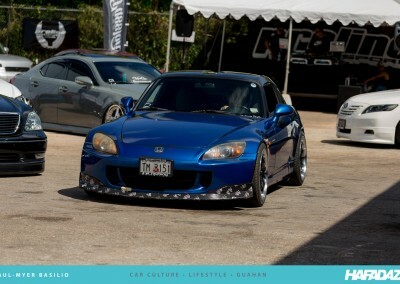 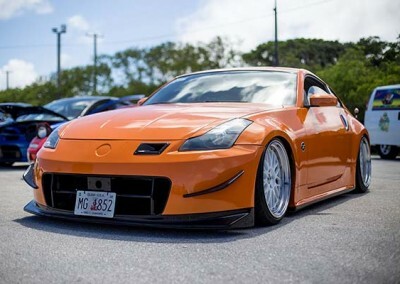 Thanks to our sponsors, Stance Appeal, Murphy’s Garage, Vip’d Out and Hafadaze. 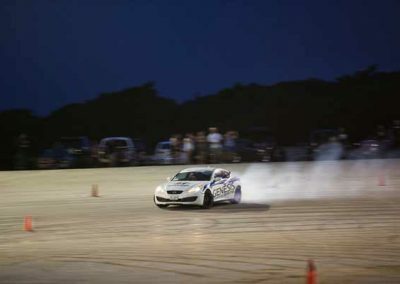 Shout out to photographers Paul-Meyer Basilio (whose photos are showcased below), Steve Hardy and Darryl Bearce. 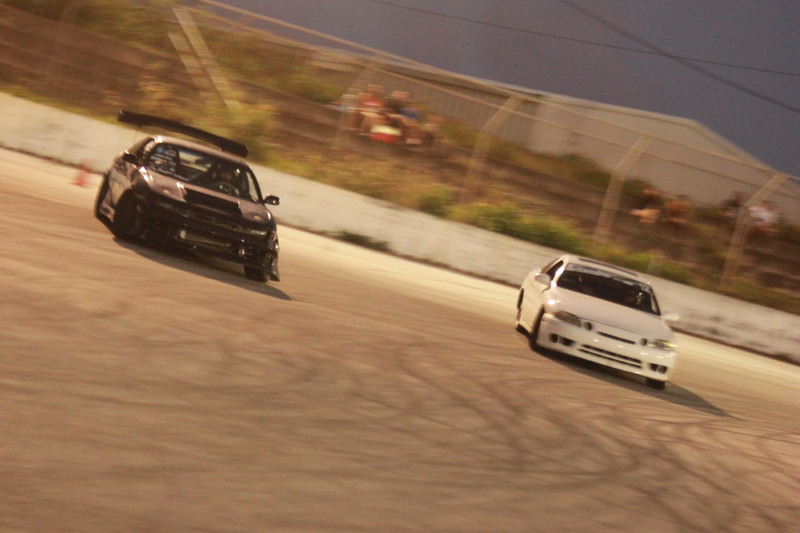 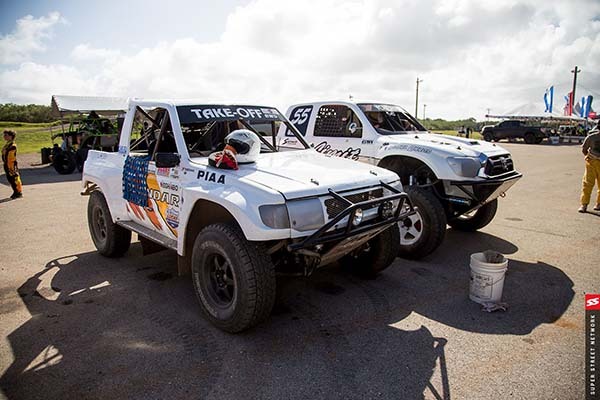 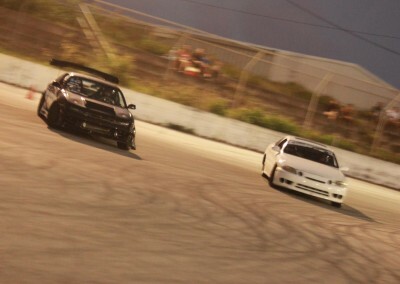 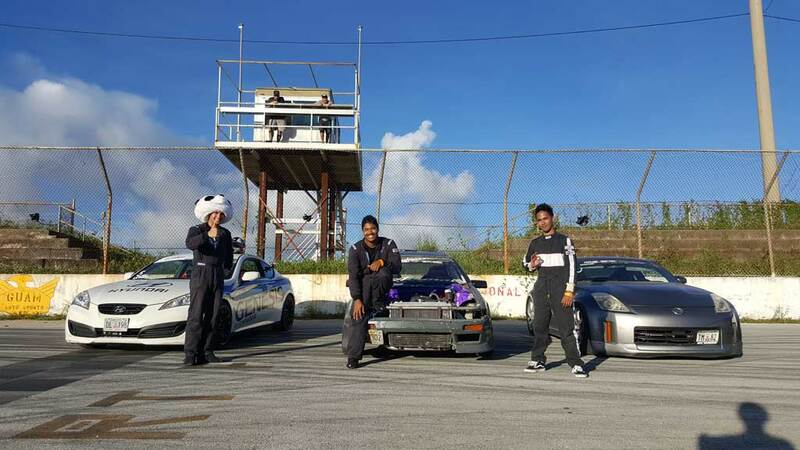 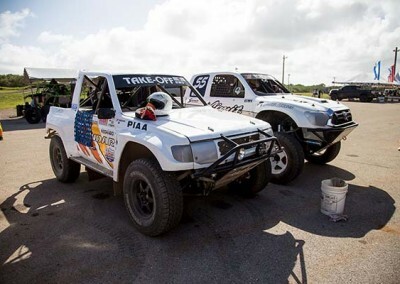 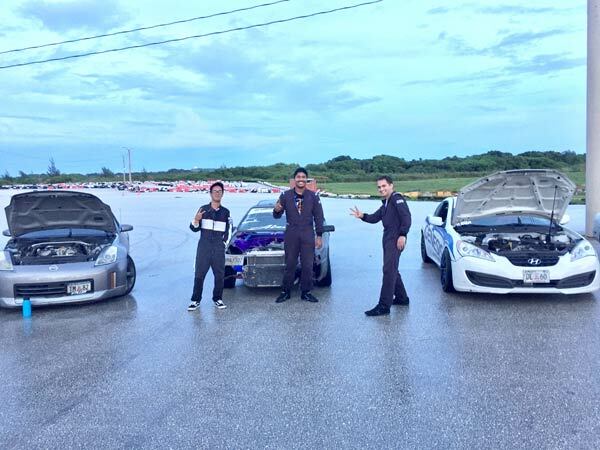 Guam International Raceway in Yigo was host to Round 3 of the Proline Drifting Championships and Round 8 of the Monster Motocross series. 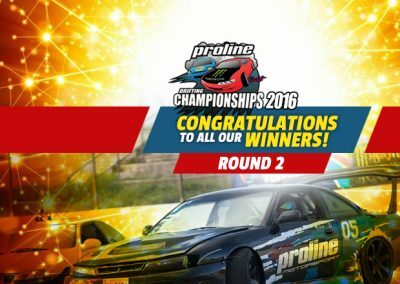 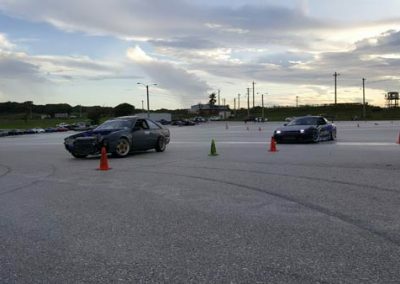 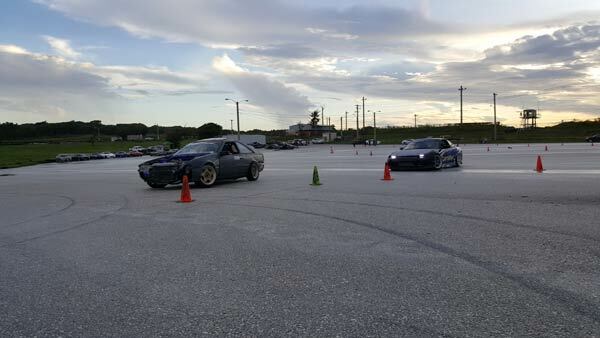 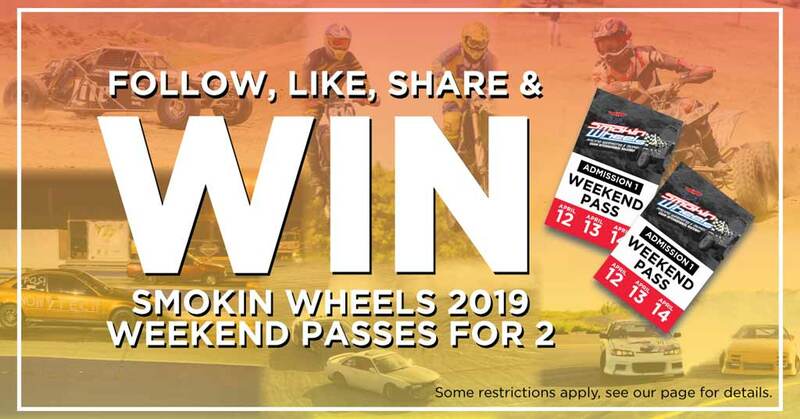 The Proline Drifting Championships is presented by Monster Energy and Napa Auto Parts / Valvoline with special thanks to IP&E, Outback Steakhouse and AclaroFX for the live streaming with IT&E’s 4GLTE Mifi. 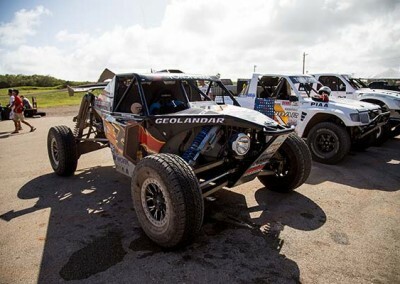 The day started with nice overcast weather for the MX riders. 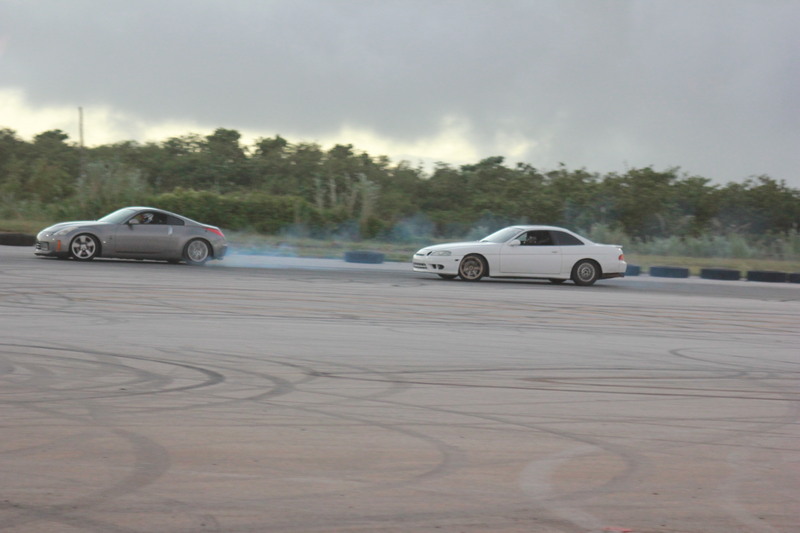 Drifters were in for a change in conditions though. 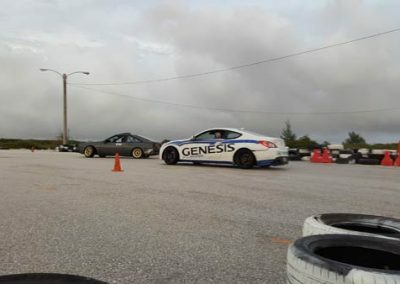 During practice it was dry but before qualifying the track was hit with a light shower and drivers had to adapt quickly. 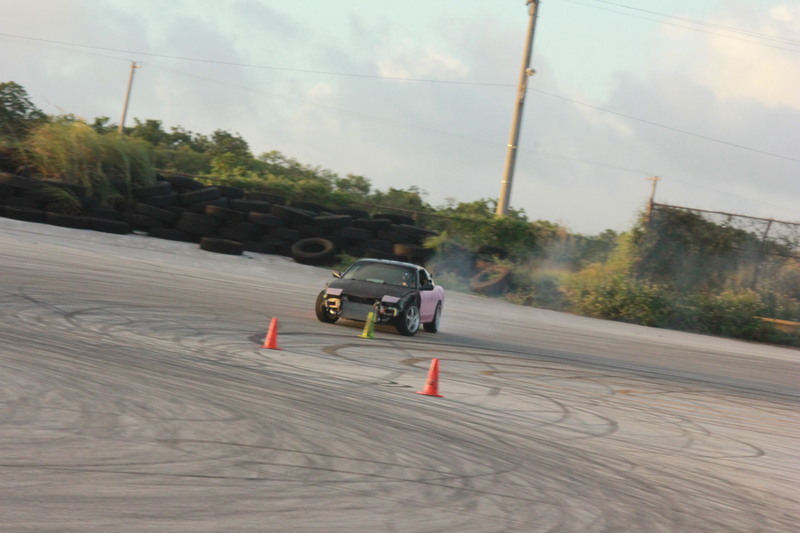 Some surfaces were slick while others gripped, it was definitely going to be a challenge. 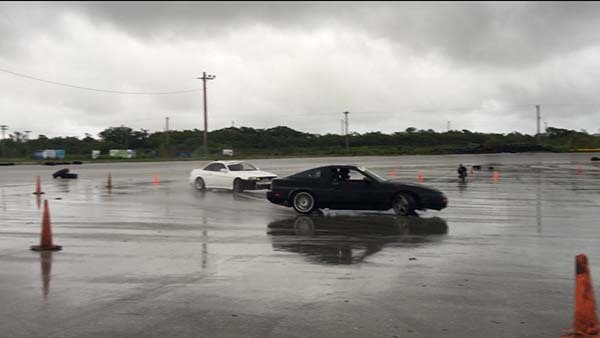 As qualifying started, more passing showers came thru but didn’t present too much of a problem until we got into the tandem matches that really showed the effects of Typhoon Soudelor hitting our friends in the CNMI. 8 drivers were in till mechanical issues held female driver Olive Epitacio from competition. 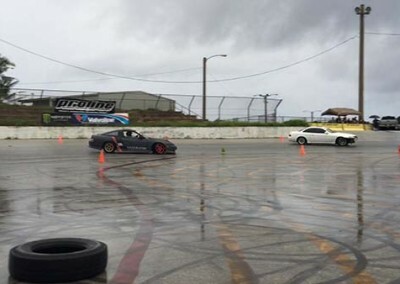 Only 7 drivers committed and braved the conditions to see who would be crowned the winner of Round 3 and battling their way for the championship points. 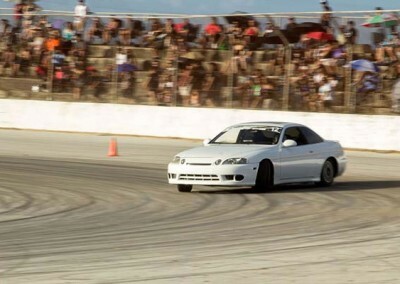 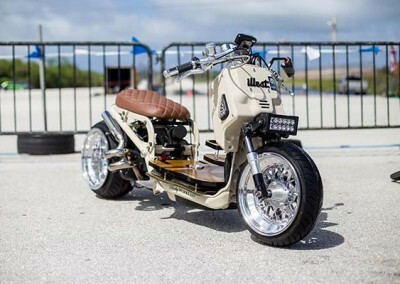 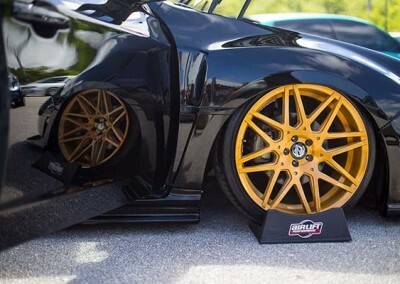 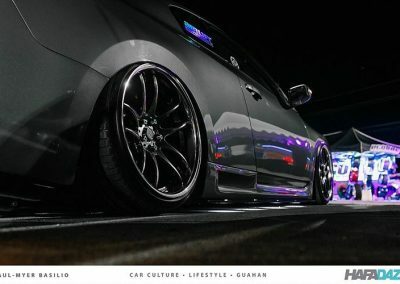 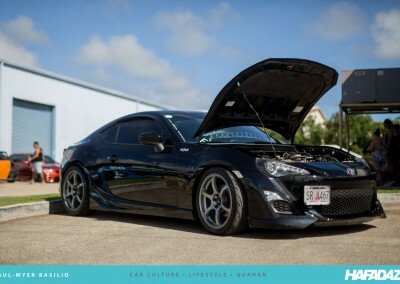 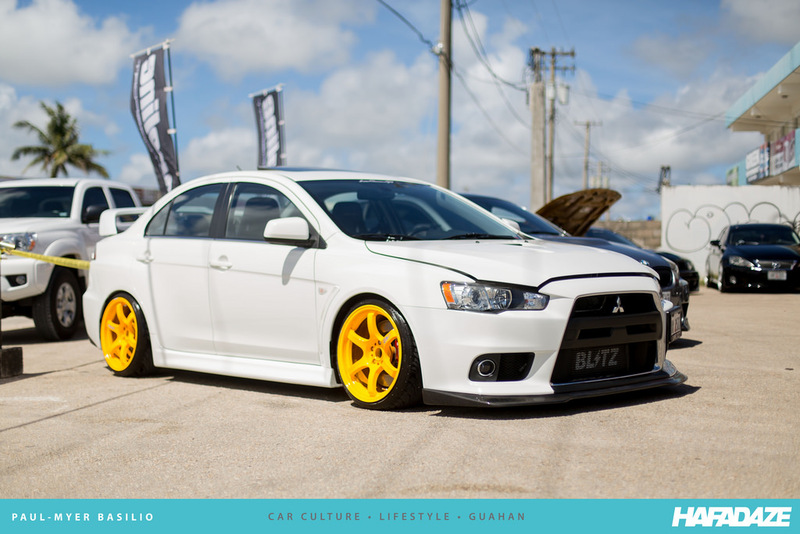 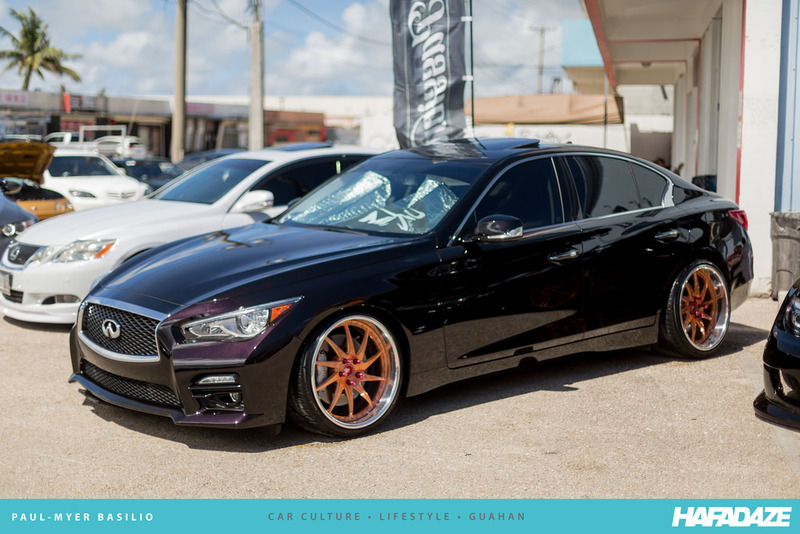 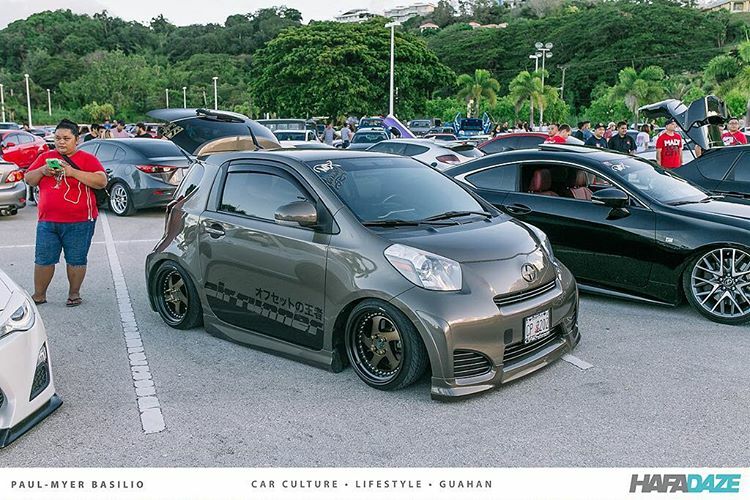 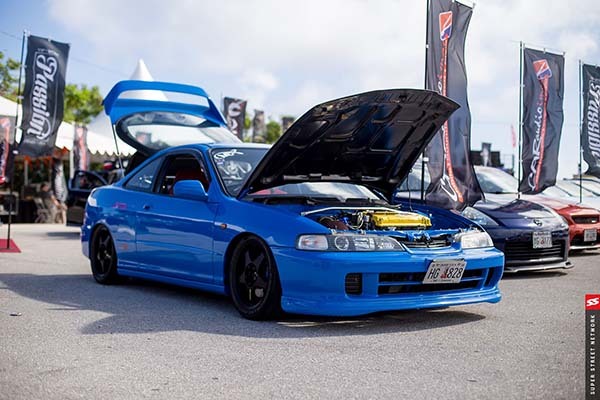 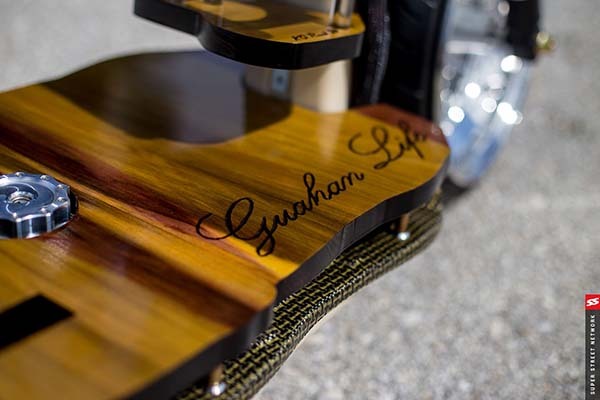 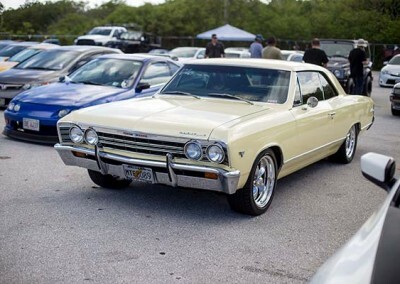 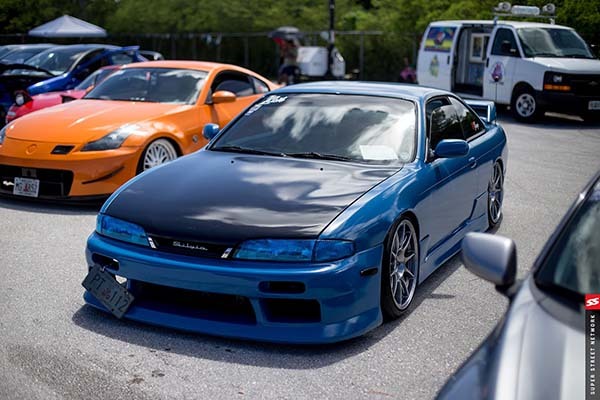 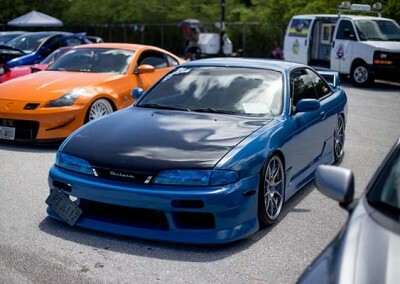 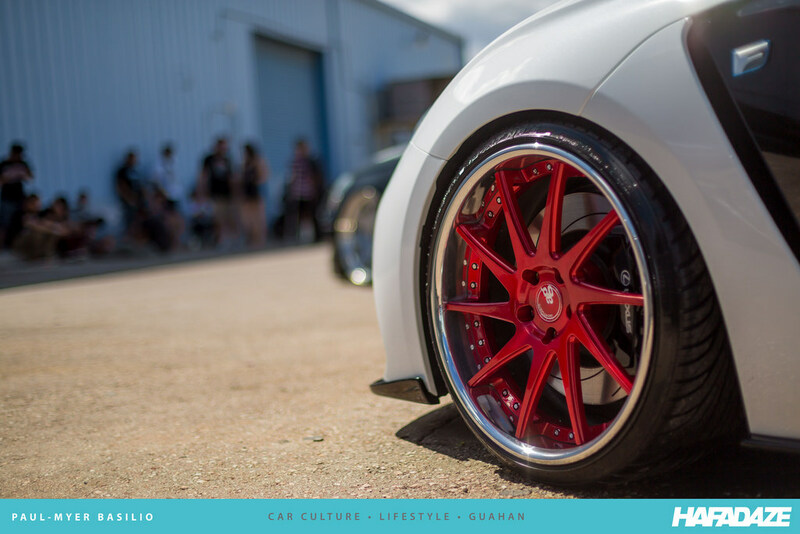 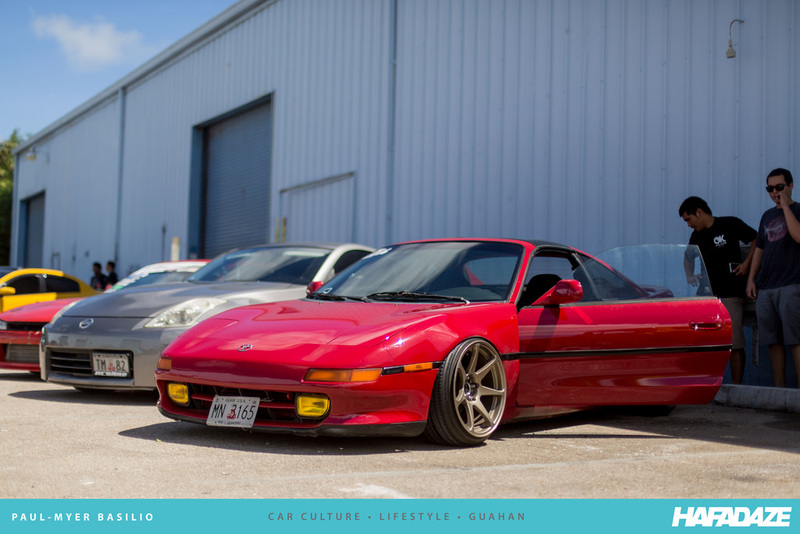 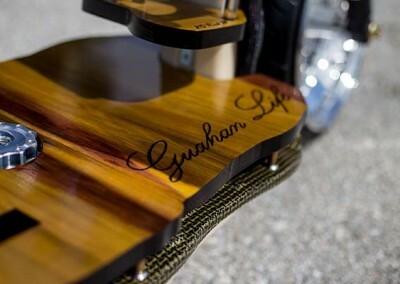 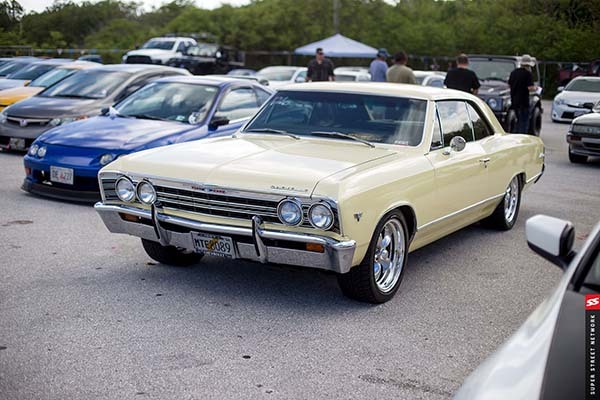 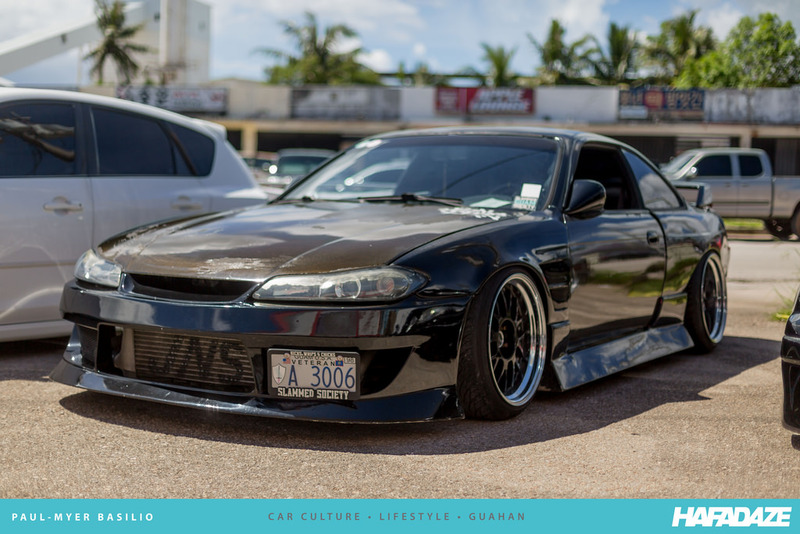 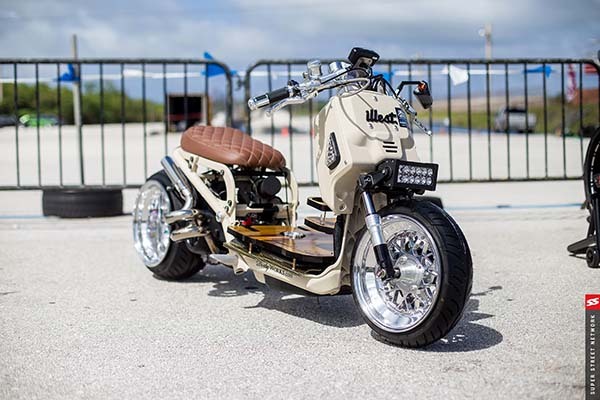 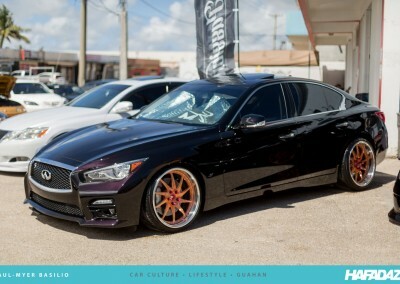 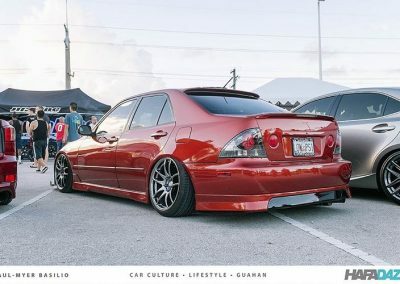 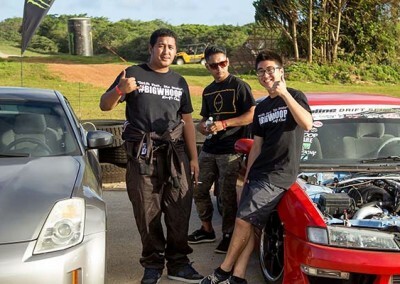 Guam made an impressive appearance when SHOWOFF, a 20-year-old car show that originated in Southern California, came to the Guam International Raceway Park in Yigo last month. 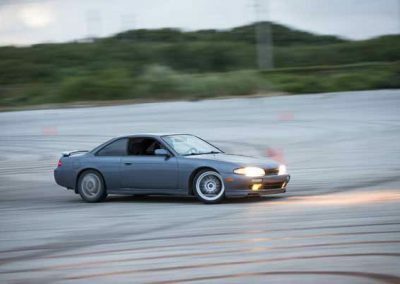 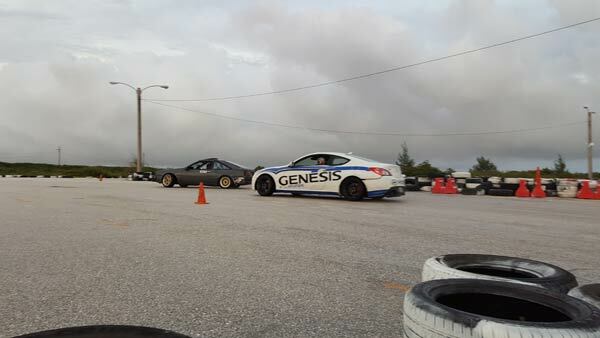 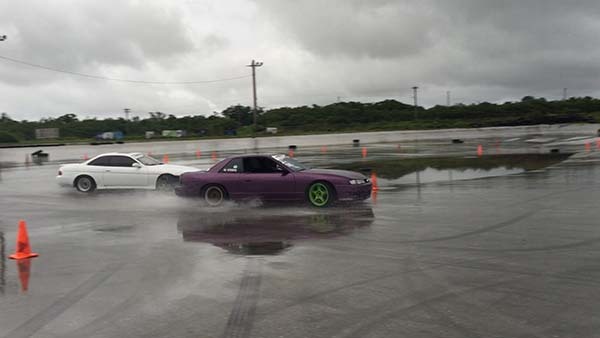 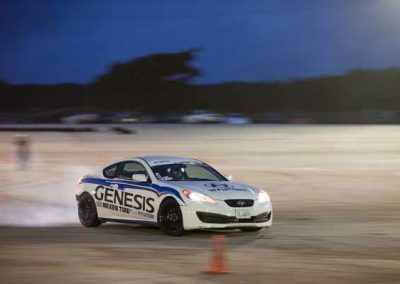 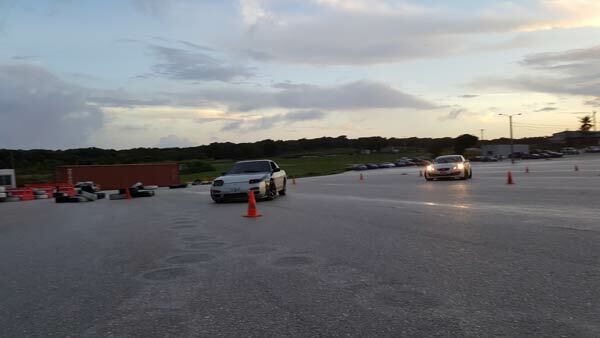 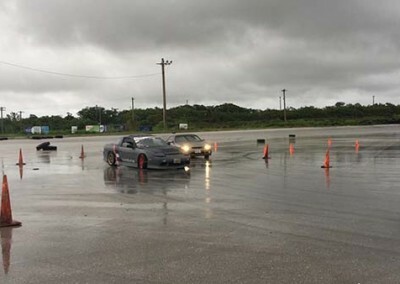 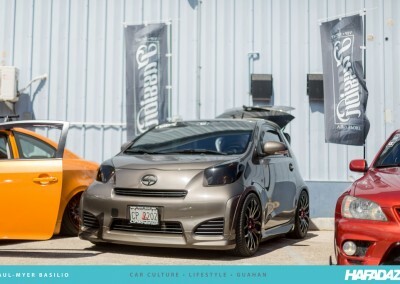 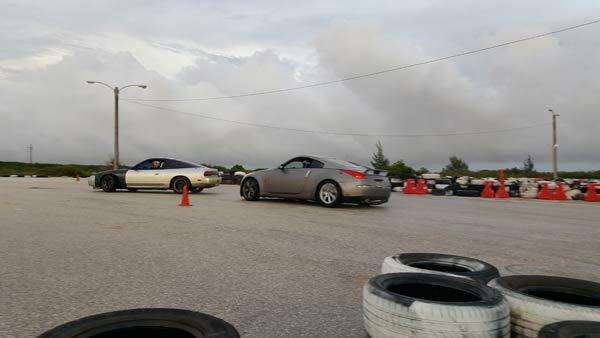 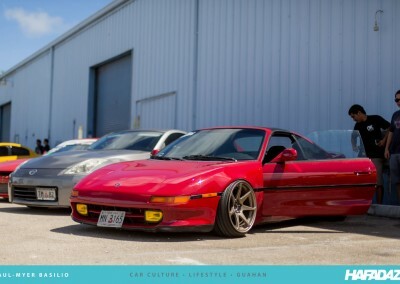 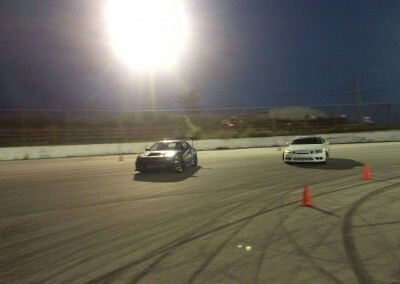 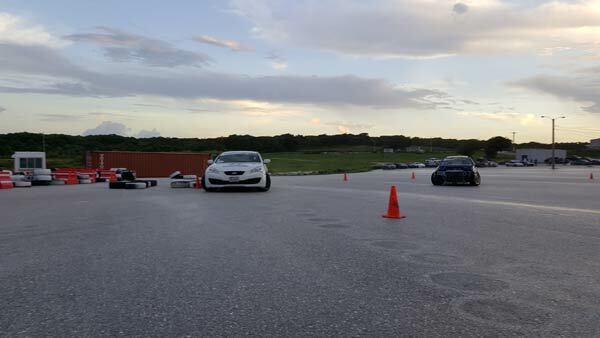 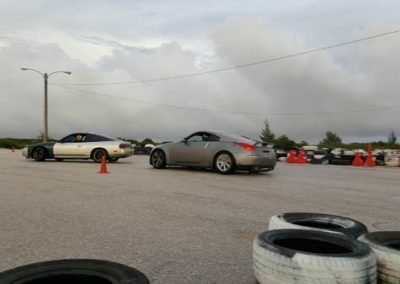 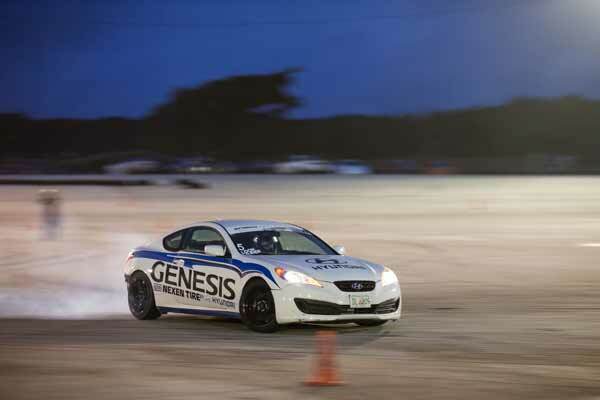 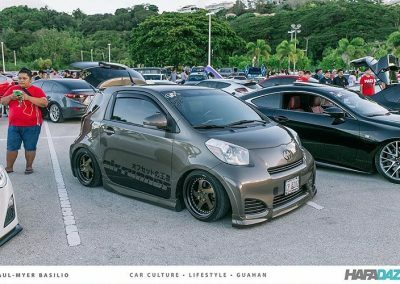 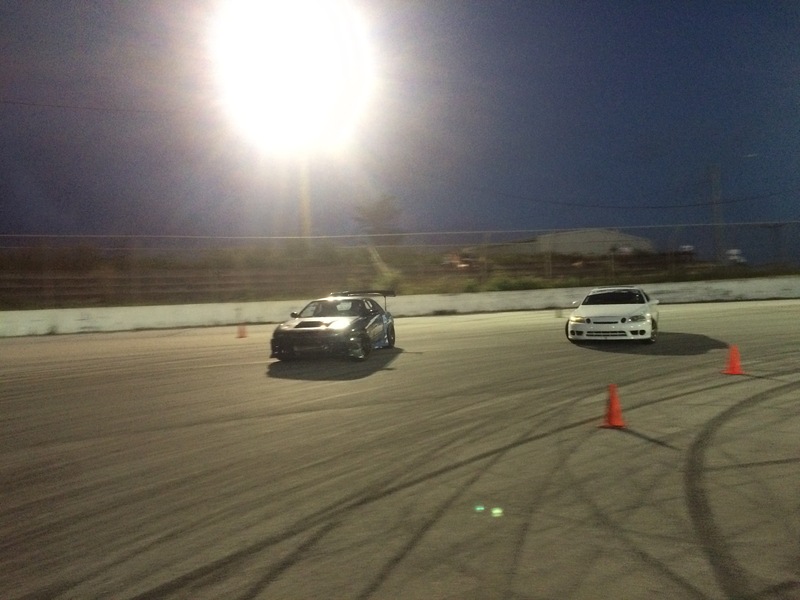 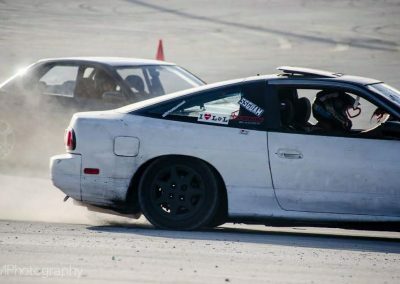 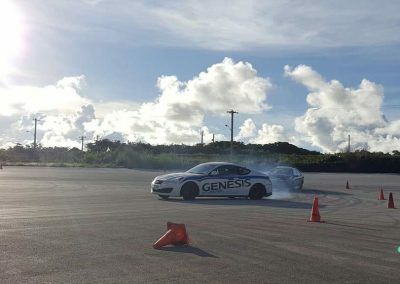 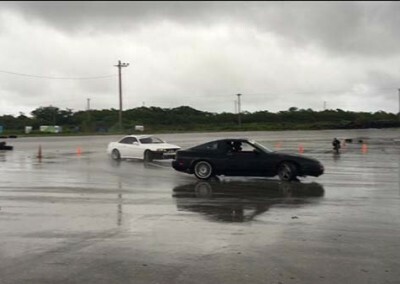 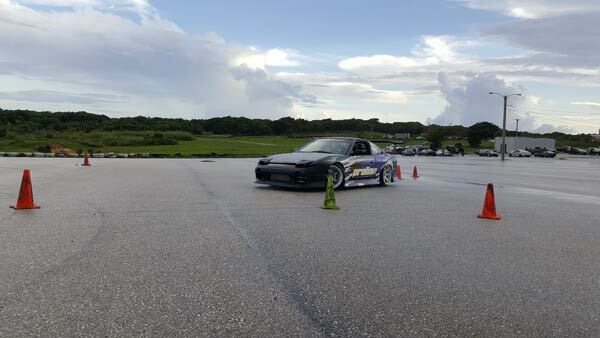 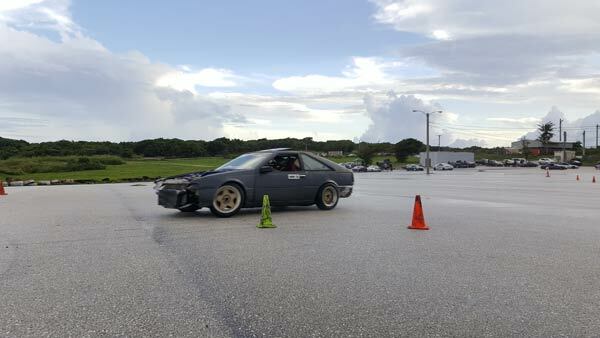 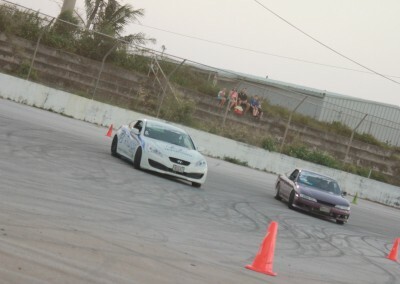 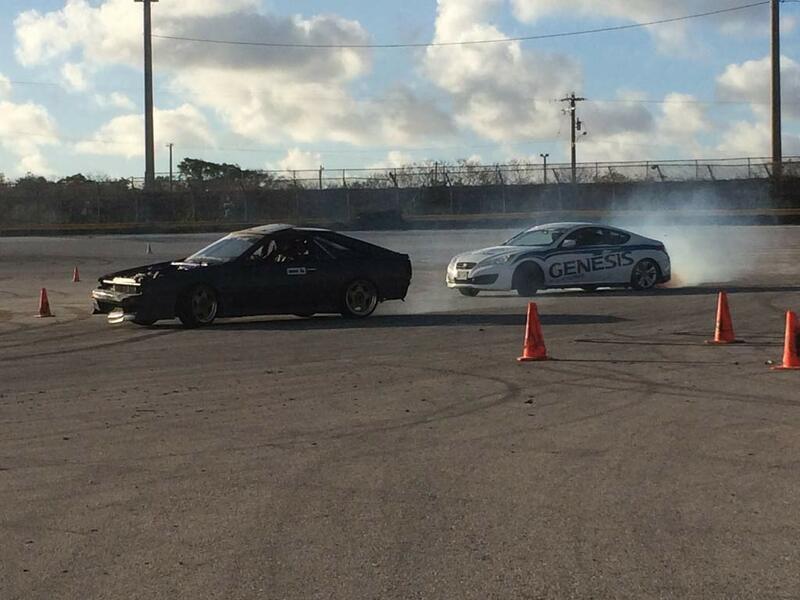 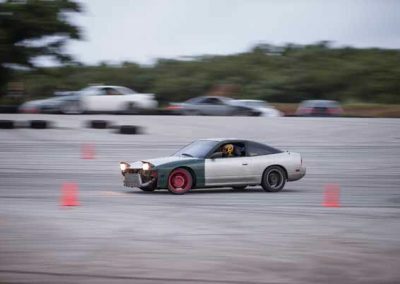 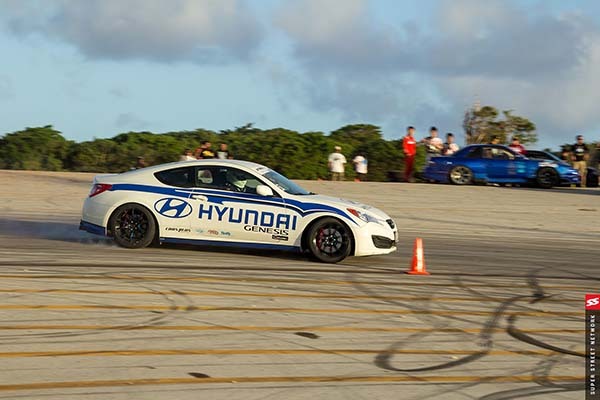 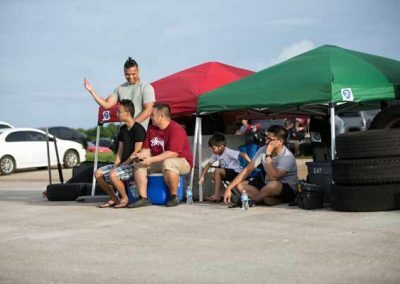 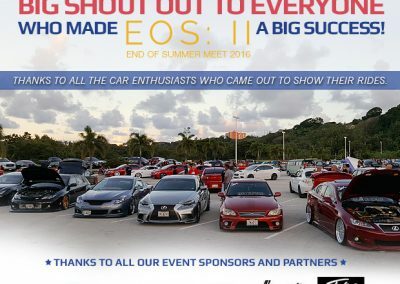 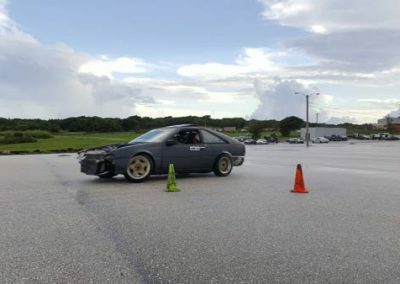 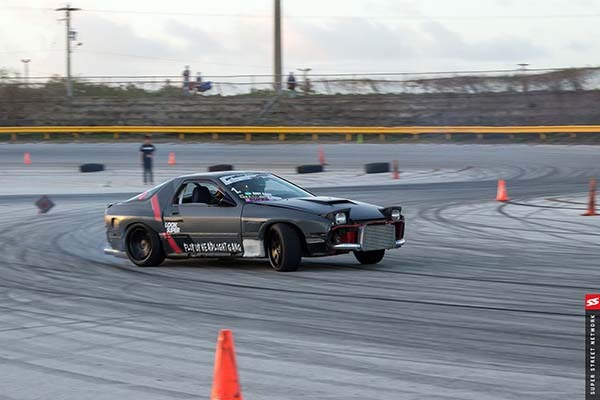 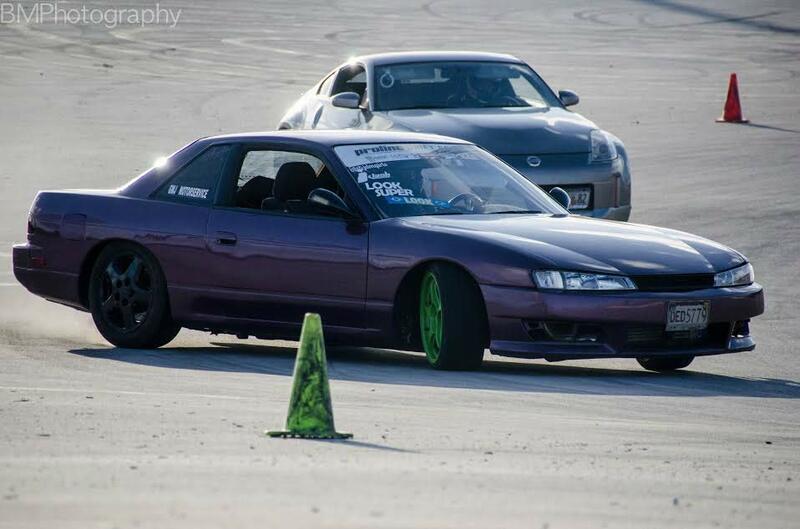 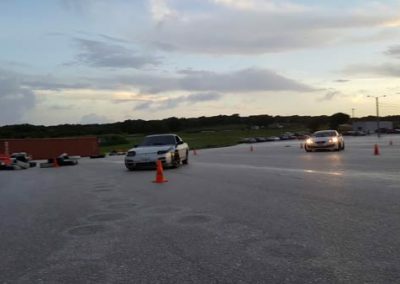 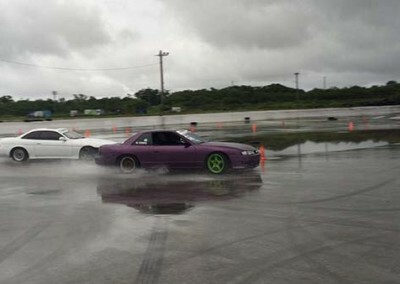 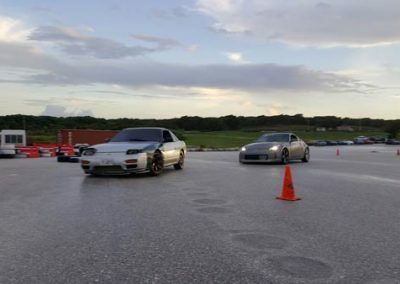 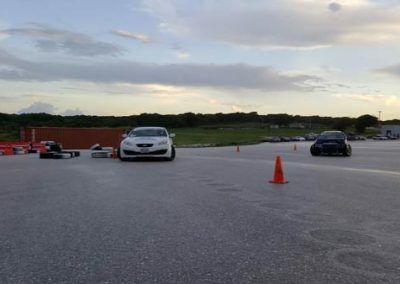 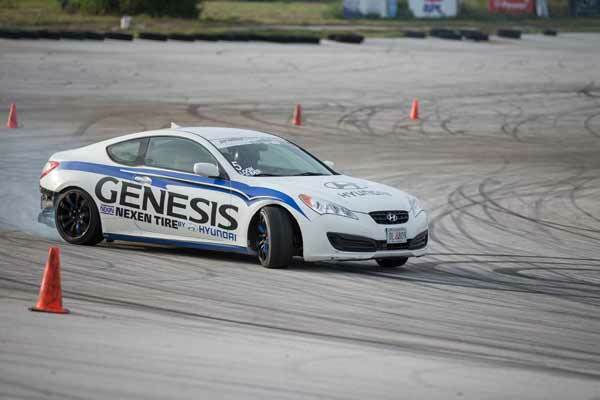 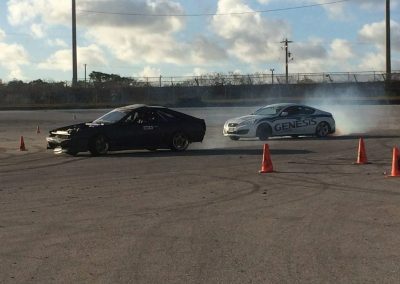 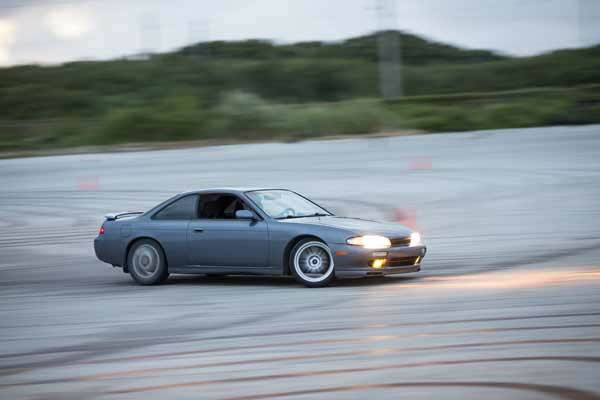 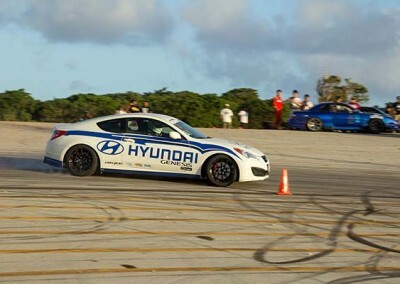 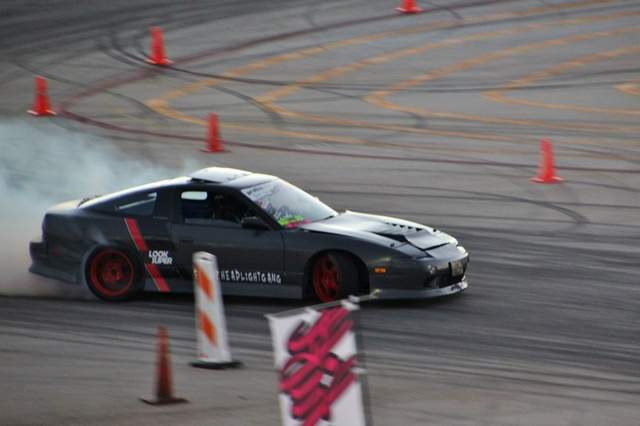 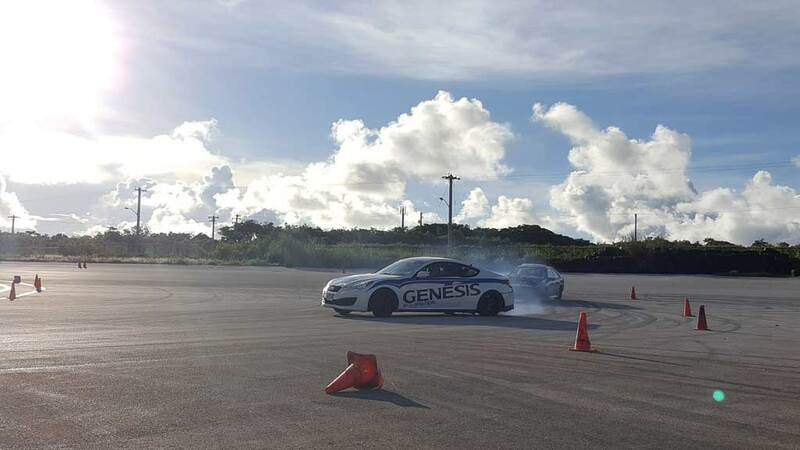 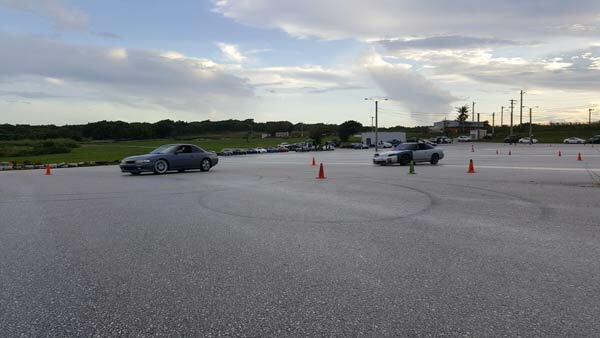 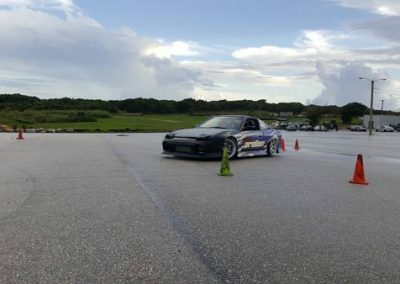 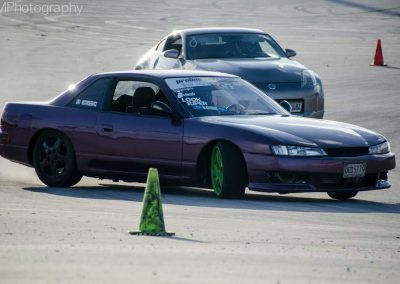 Over 100 Guam cars competed. 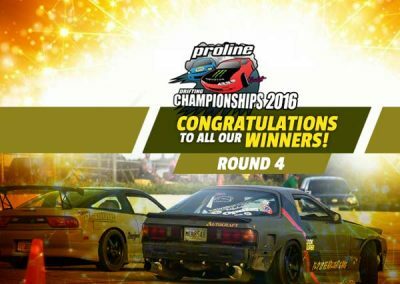 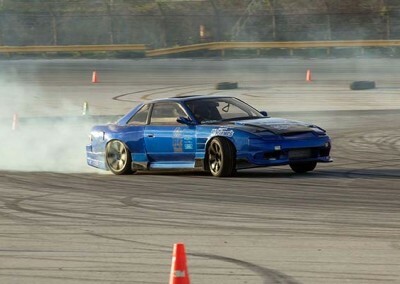 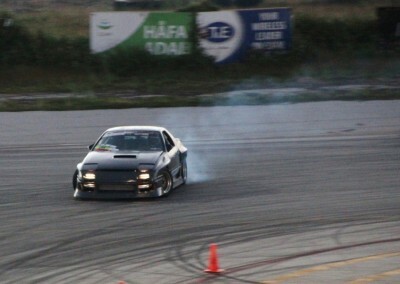 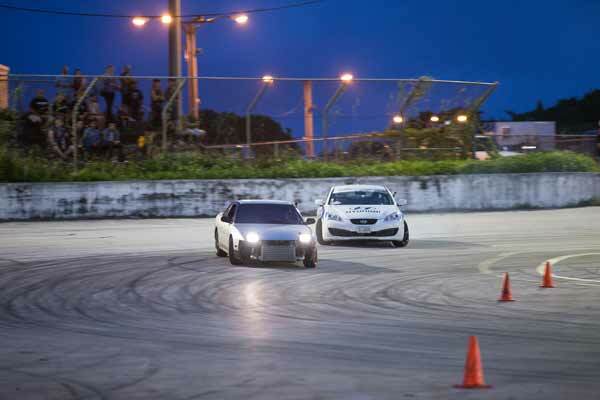 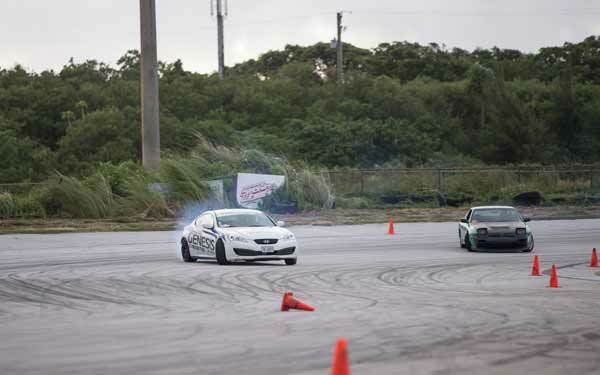 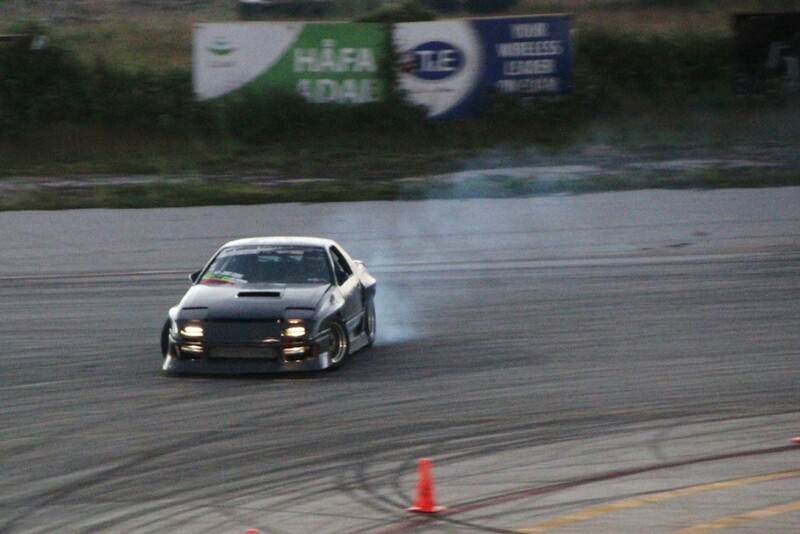 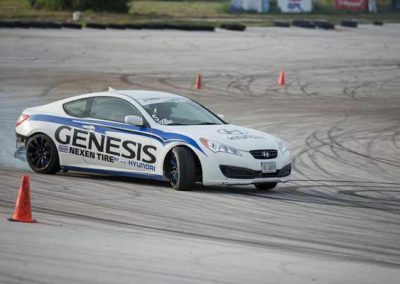 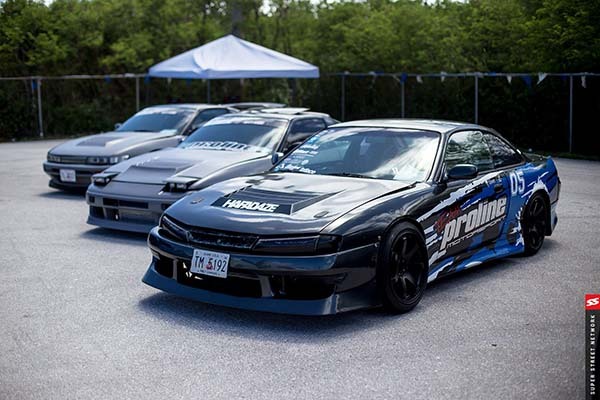 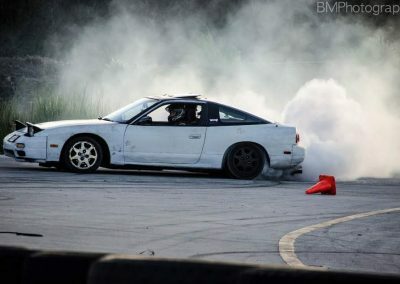 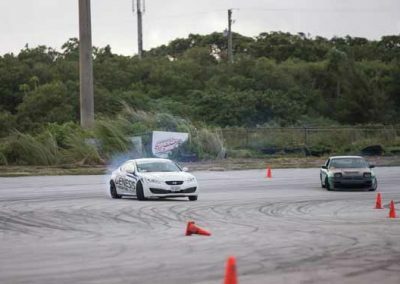 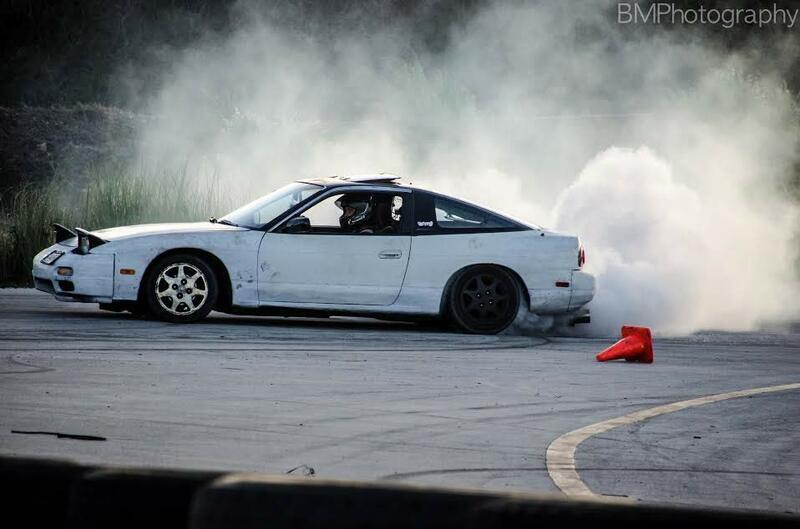 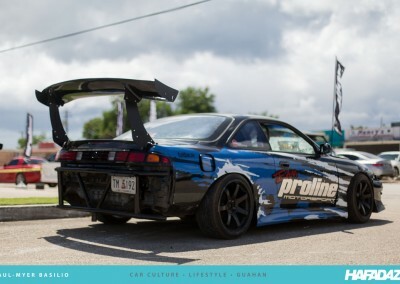 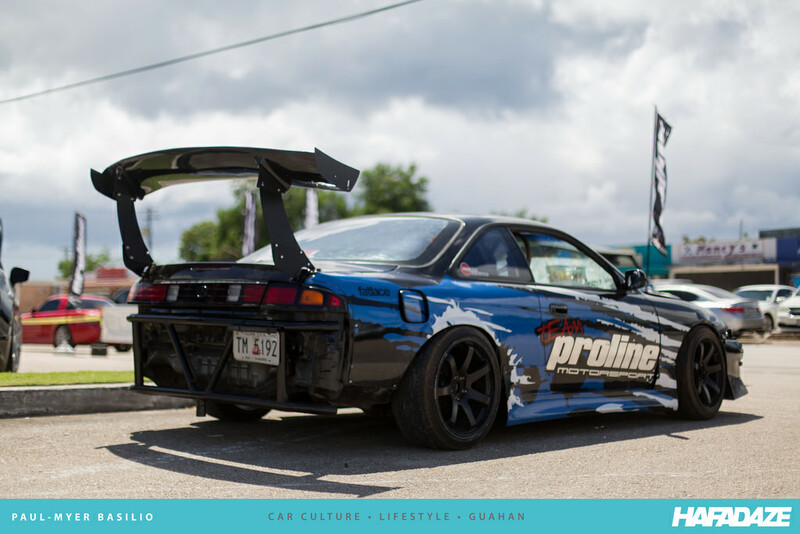 The show was followed by the kickoff to the Proline Championship Drift Series at Smokin’ Wheels Racing Weekend. 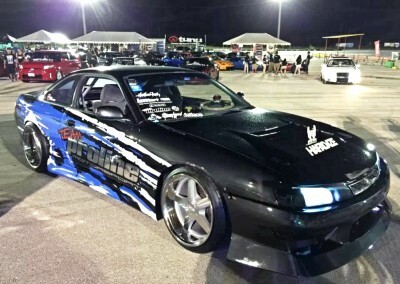 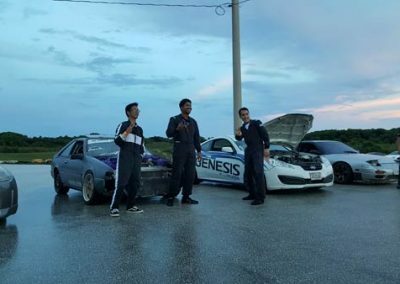 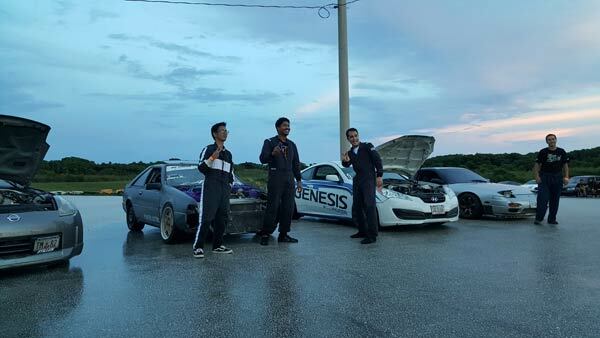 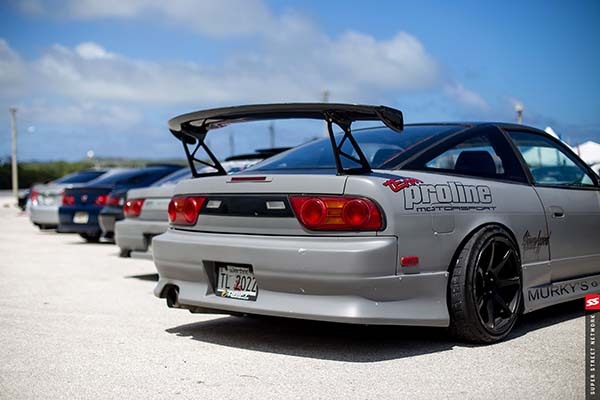 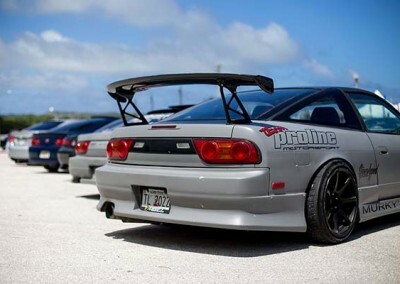 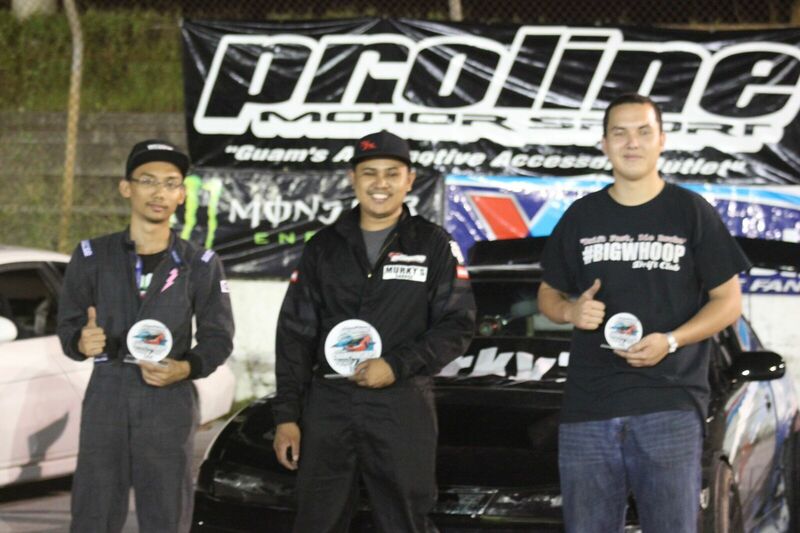 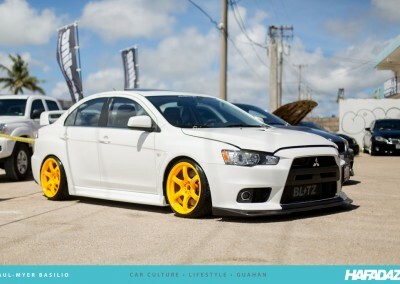 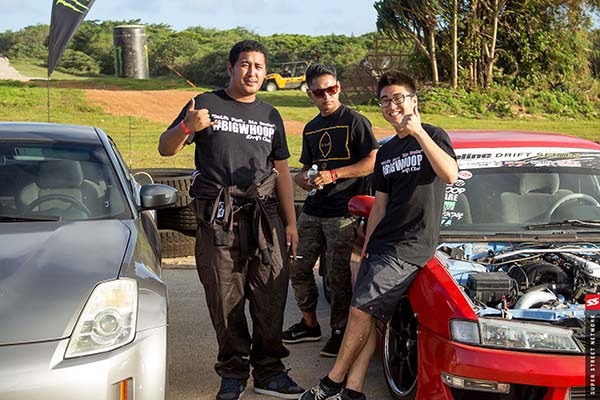 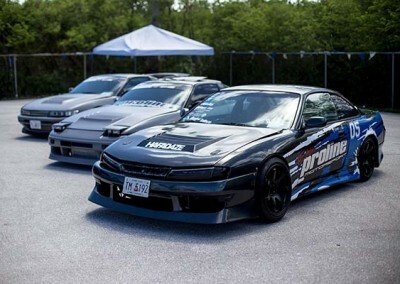 Congratulations to all SHOWOFF Guam competitors and Proline drift racers!